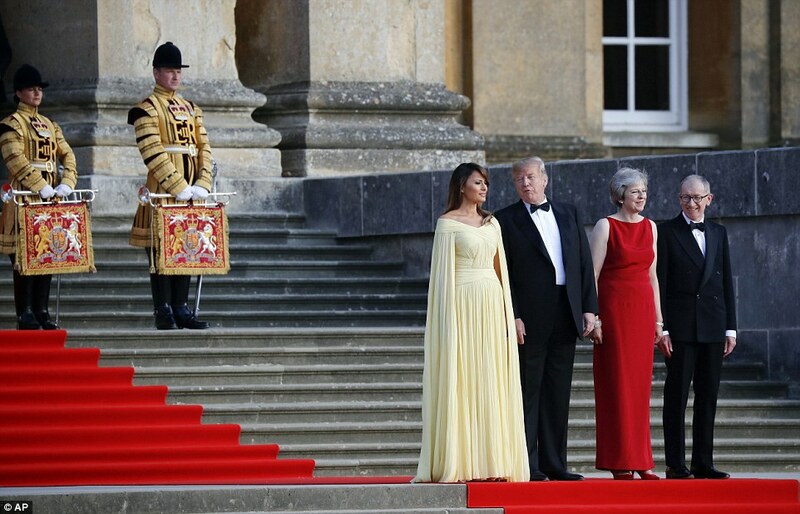 Donald Trump sent the Special Relationship into meltdown today after lobbing a series of extraordinary verbal hand grenades at Theresa May on his visit to the UK. 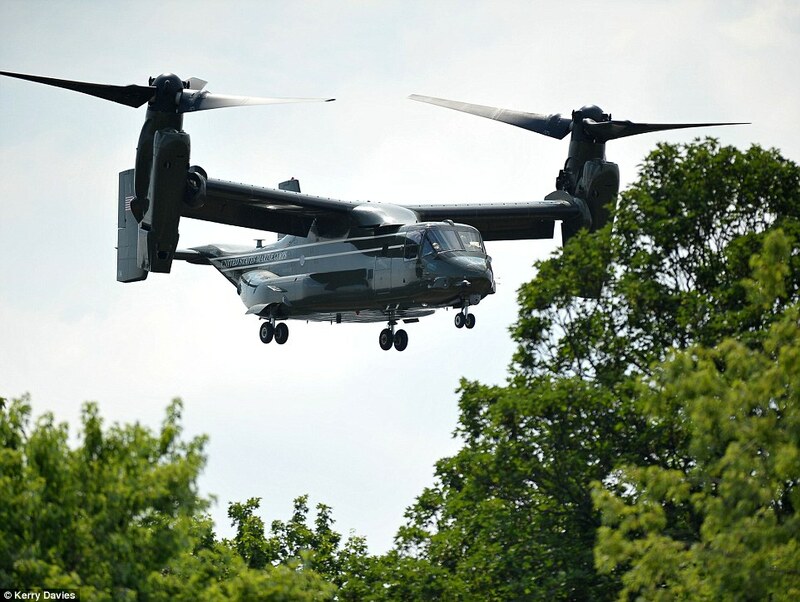 The US president tore up diplomatic niceties to deliver a series of crushing blows to the PM, warning that her soft Brexit plan would ‘kill’ a trade deal with the US – and heaping praise on Boris Johnson, who quit in protest earlier this week. 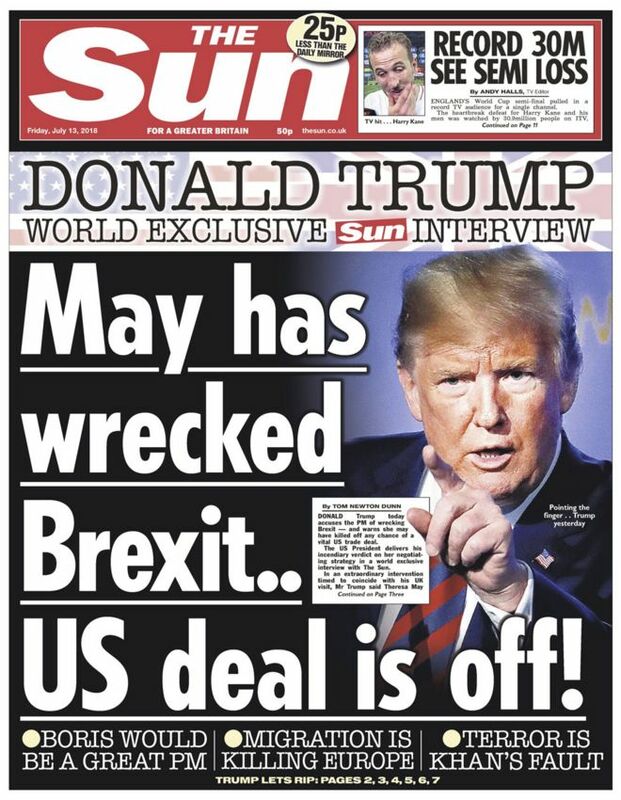 Rampaging unapologetically into domestic politics, Mr Trump said Mrs May had ignored his advice to face down the EU in negotiations and condemned slack controls on immigration. 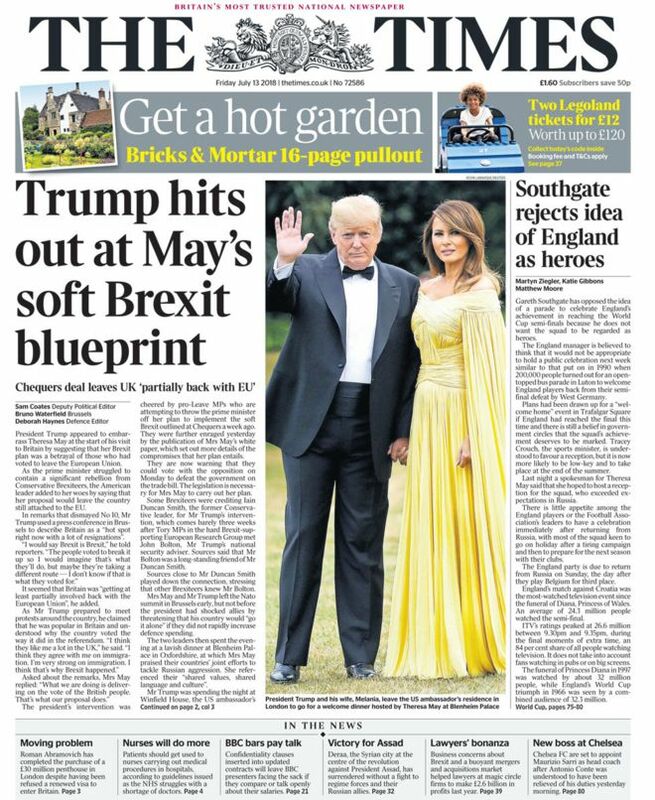 The bombshell intervention left ministers struggling to come up with a response, just hours before Mrs May is due to host the president at Chequers for talks on the second anniversary of her premiership. Downing Street is braced for him to double down on his criticism at a joint press conference in what could be a devastating humiliation as she struggles to cling on to power amid a huge revolt by Tory Eurosceptics. Foreign Office minister Alan Duncan was sent out to try to put a brave face on the embarrassment this morning, stretching credibility by insisting the government did not regard Mr Trump’s behaviour as ‘rude’. ‘Donald Trump is in many ways a controversialist, that’s his style, that’s the colour he brings to the world stage,’ he told BBC Radio 4’s Today programme. Chancellor Philip Hammond, in Brussels for meetings, suggested the president had not yet studied the government’s Brexit plans properly. Tory backbencher Sarah Wollaston raged that Mr Trump was ‘determined to insult’ Mrs May. In a sign of the growing chaos in UK politics, shadow foreign secretary Emily Thornberry also leapt to Mrs May’s defence, branding him ‘extraordinarily rude’. ‘She is his host. What did his mother teach him?’ Mrs Thornberry said. 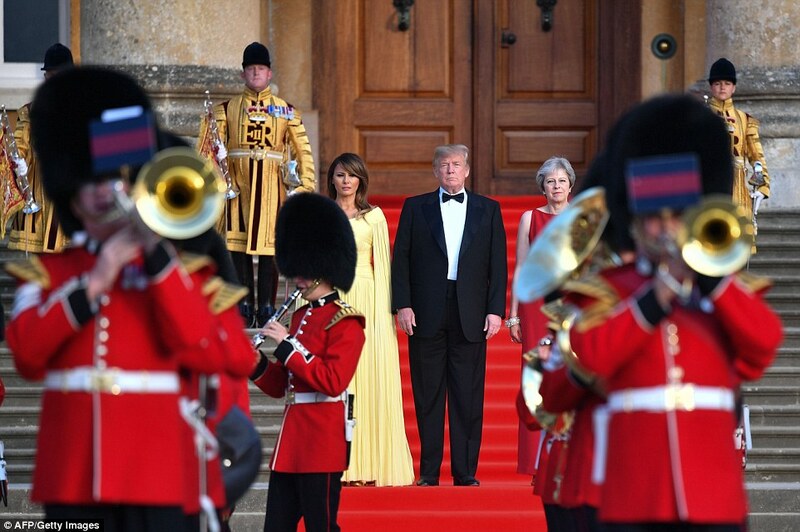 Mr Trump’s outburst emerged last night just as Mrs May feted him at a lavish business dinner at Blenheim Palace – the family home of his hero Winston Churchill in Oxfordshire. 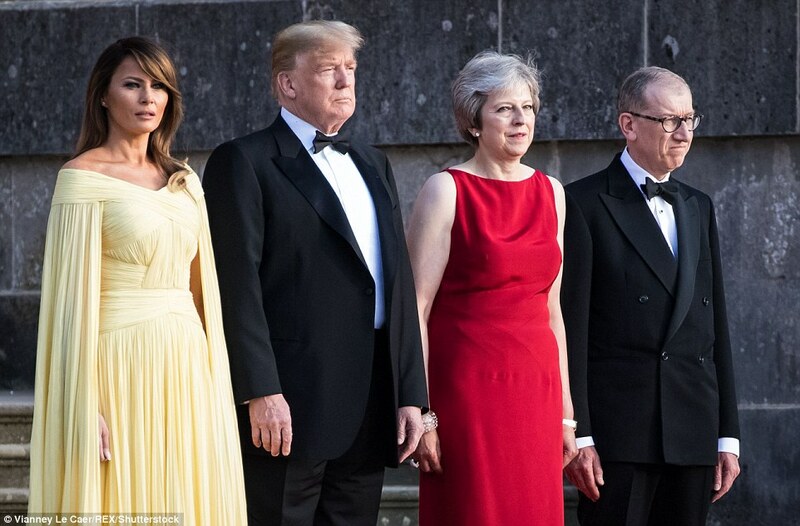 As the leaders posed for the cameras, even holding hands at one point, it was revealed that Mr Trump had launched a full-scale attack on Mrs May’s leadership in an interview with The Sun before arriving in Britain. 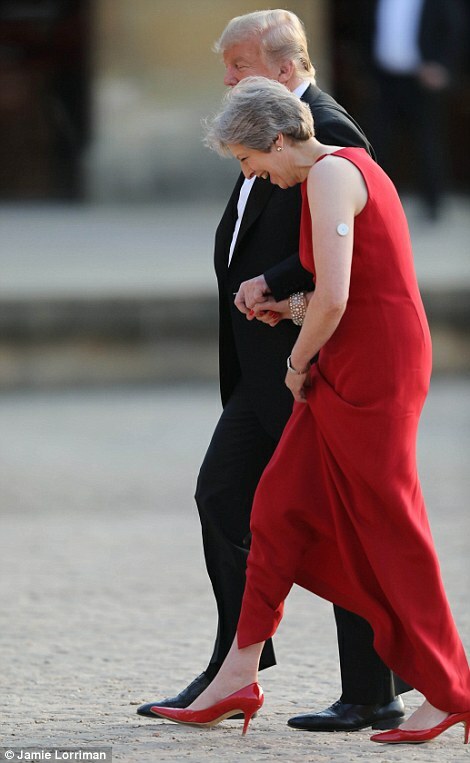 Giving a withering assessment of her Brexit plan to align with EU rules to ease trade and keep a soft Irish border, he said: ‘If they do a deal like that, we would be dealing with the European Union instead of dealing with the UK, so it will probably kill the deal. I actually told Theresa May how to do it, but she didn’t listen to me’. 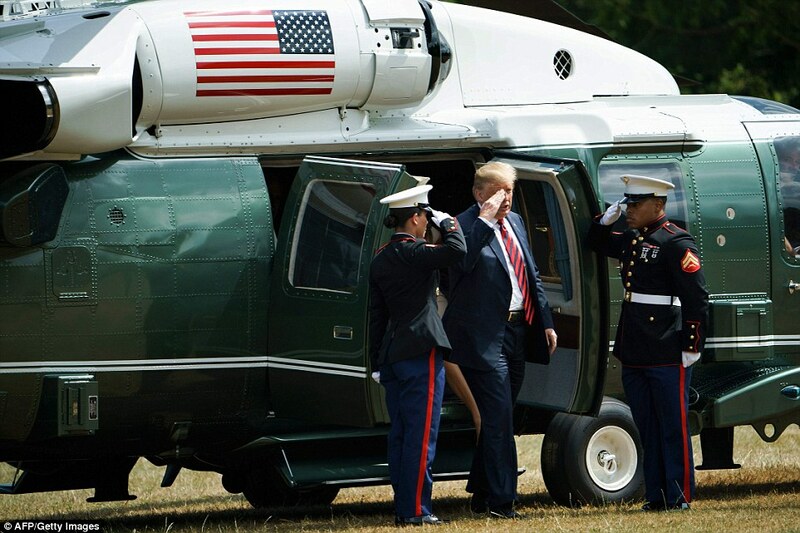 In an interview with the British newspaper, Mr Trump said he thought Boris Johnson would make a ‘great prime minister’ and that he was ‘saddened’ the former foreign secretary was out of the government. He said he thought that allowing ‘millions and millions’ of people into Europe was ‘very sad’ and pointed to crime being ‘brought in’ to London, criticising the Labour mayor for failing to deal with it. 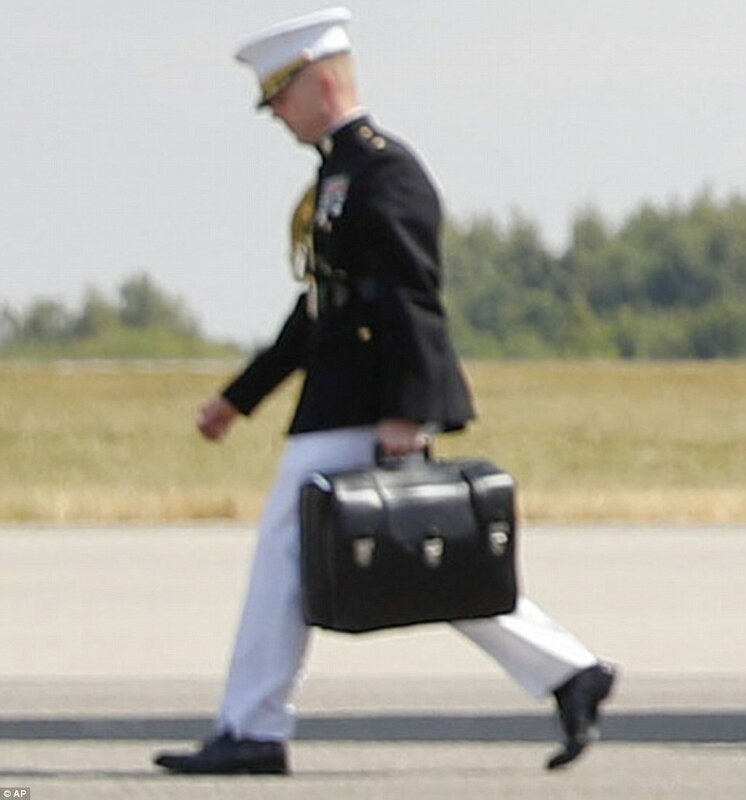 The White House tried to go on cleanup duty after the explosive interview. ‘The President likes and respects Prime Minister May very much,’ White House press secretary Sarah Sanders said in a statement. He added that he used to love the city, but now feels little reason to go there because of the animosity directed towards him. But he did say he respected the Queen, telling The Sun she is a ‘tremendous woman’ who has never made any embarrassing mistakes. And the president also said he loves the UK and believes the British people ‘want the same thing I want’. 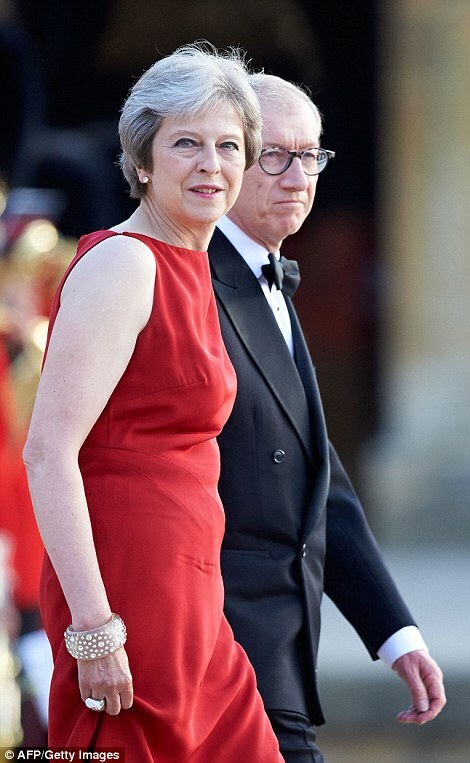 Mrs May had been trying to use the lavish welcome dinner for Mr Trump at Blenheim Palace to press her case for an ambitious new trade deal with the US after Brexit. 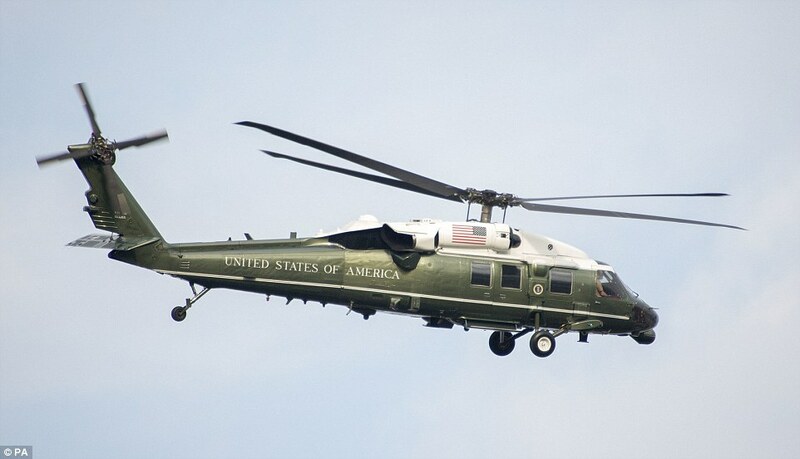 The president arrived in Marine One in a tuxedo alongside First Lady Melania, wearing a floor-length, pleated buttercup yellow gown. 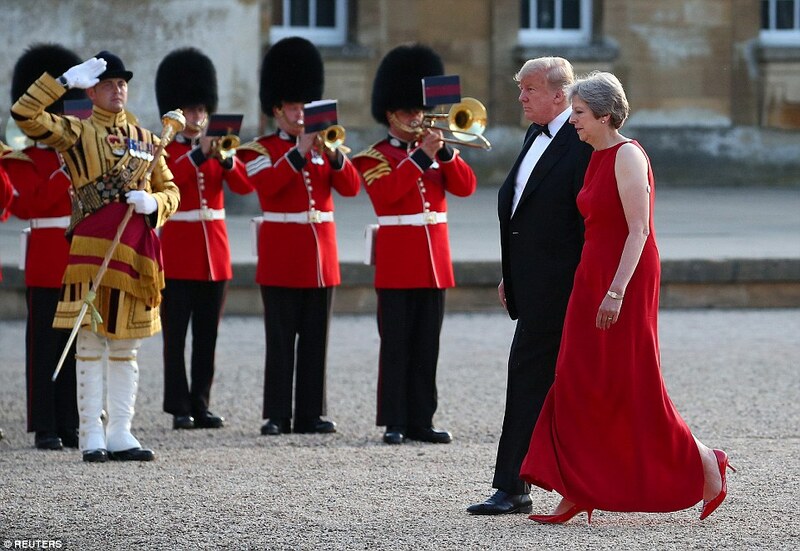 Awkwardly grabbing Theresa May’s hand – in a replay of their White House meeting last year – Trump was treated to a fanfare welcome by the Welsh, Irish and Scots Guards’ bands. 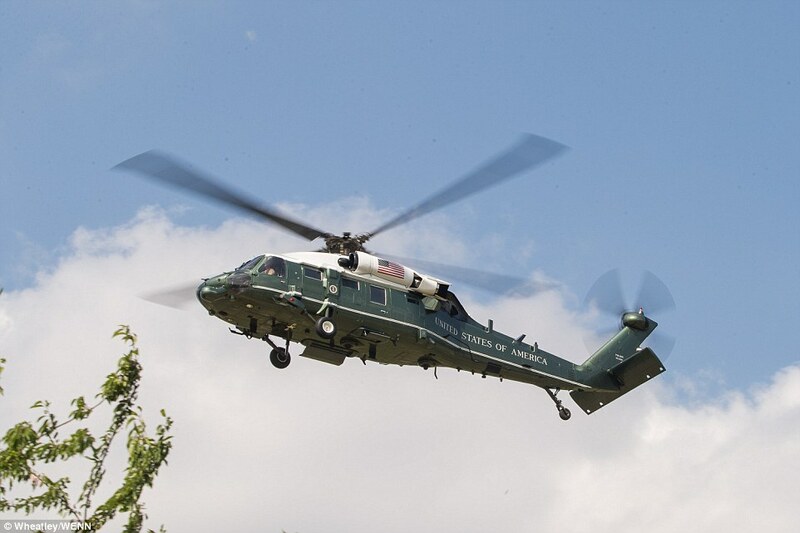 The president was given a performance of Amazing Grace featuring a bagpipe solo during his red-carpet reception as well as Liberty Fanfare and the National Emblem. Critics of the Prime Minister’s proposals for future relations with the EU claim that her willingness to align with Brussels rules on agricultural produce will block a US deal. That is because Washington is certain to insist on the inclusion of GM crops and hormone-enhanced beef, which are banned in Europe. But addressing the US president in front of an audience of business leaders at Winston Churchill’s birthplace, Mrs May insisted that Brexit provides an opportunity for an ‘unprecedented’ agreement to boost jobs and growth. 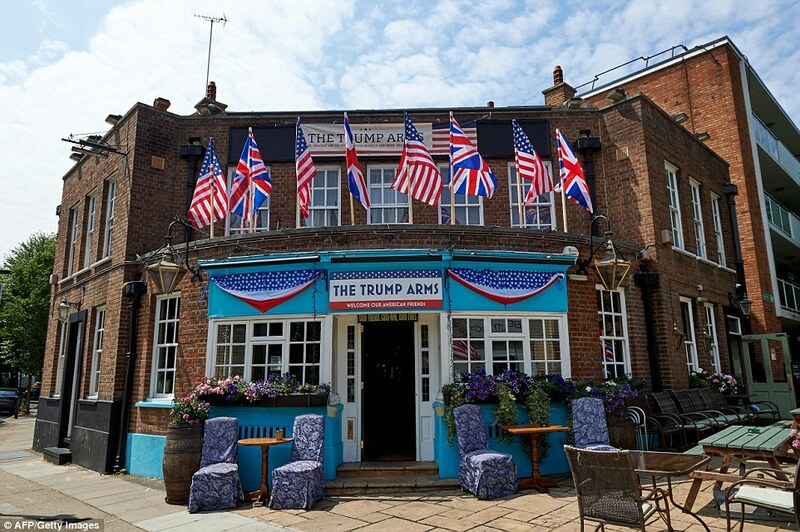 Noting that more than one million Americans already work for British-owned firms, she told Mr Trump: ‘As we prepare to leave the European Union, we have an unprecedented opportunity to do more. ‘It’s an opportunity to reach a free trade agreement that creates jobs and growth here in the UK and right across the United States. ‘It’s also an opportunity to tear down the bureaucratic barriers that frustrate business leaders on both sides of the Atlantic. She also highlighted the importance of trans-Atlantic business links to a president who has sometimes seemed more interested in forging new links with former adversaries around the world than nurturing long-standing partnerships. Britain and the US are the largest investors in each other’s economies, with over a trillion dollars of investments between them, said Mrs May. 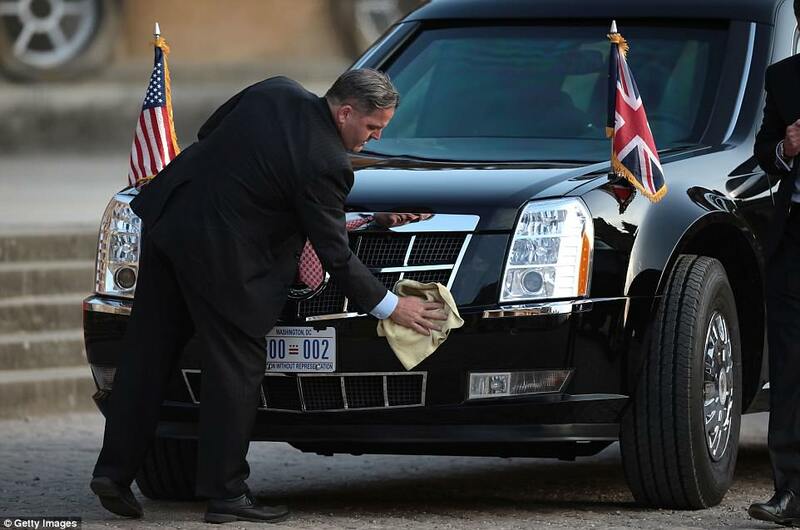 And she told the president: ‘The strength and breadth of Britain’s contribution to the US economy cannot be understated. ‘The UK is the largest investor in the US, providing nearly a fifth of all foreign investment in your country. ‘We invest 30 per cent more than our nearest rival. More than 20 times what China invests. And more than France and Germany combined. ‘That all means a great deal more than simply numbers in bank accounts. 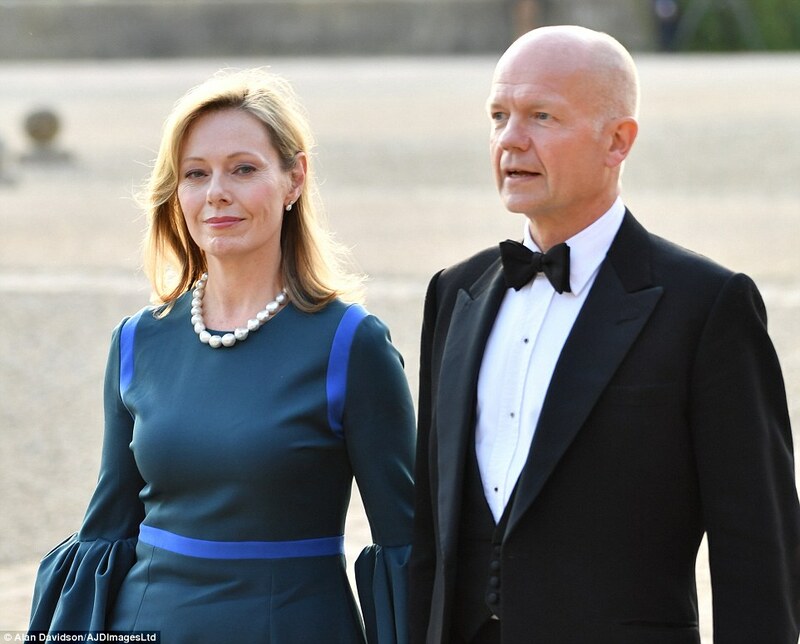 British firms represented at the Blenheim banquet alone employ more than 250,000 people in the US, she said. 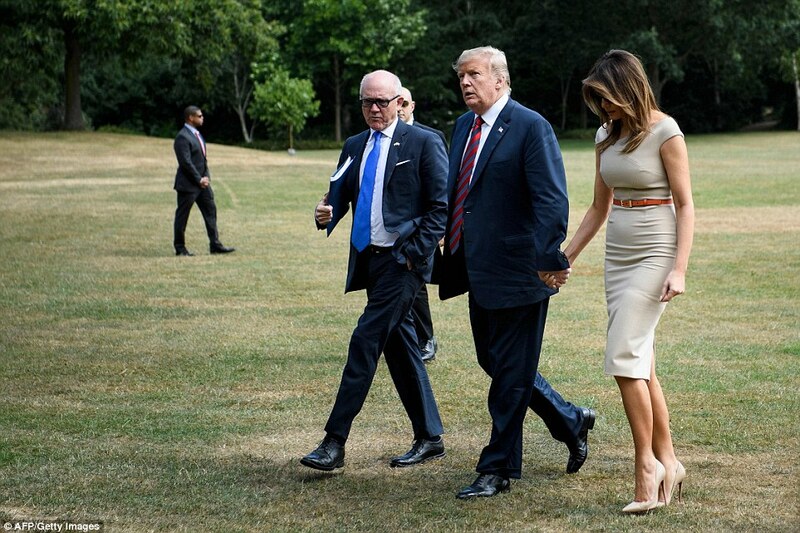 Mr Trump earlier made clear that he did not approve of the softer stance the PM has been advocating despite fury from many Tory MPs. ‘Brexit is Brexit, the people voted to break it up so I would imagine that is what they’ll do, but they might take a different route. I’m not sure that’s what people voted for,’ Mr Trump said. Mrs May dismissed the criticism as she departed the summit this afternoon, telling journalists: ‘We have come to an agreement at the proposal we’re putting to the European Union which absolutely delivers on the Brexit people voted for. ‘They voted for us to take back control of our money, our law and our borders and that’s exactly what we will do’. Mr Trump also said the UK was a ‘pretty hot spot right now’ with ‘lots of resignations’. ‘Brexit is – I have been reading about Brexit a lot over the last few days and it seems to be turning a little bit differently where they are getting at least partially involved back with the European Union,’ he said. He added: ‘I’d like to see them be able to work it out so it can go quickly – whatever they work out. ‘I would say Brexit is Brexit. When you use the term hard Brexit I assume that’s what you mean. ‘A lot of people voted to break it up so I would imagine that’s what they would do but maybe they are taking a little bit of a different route. I don’t know if that’s what they voted for. 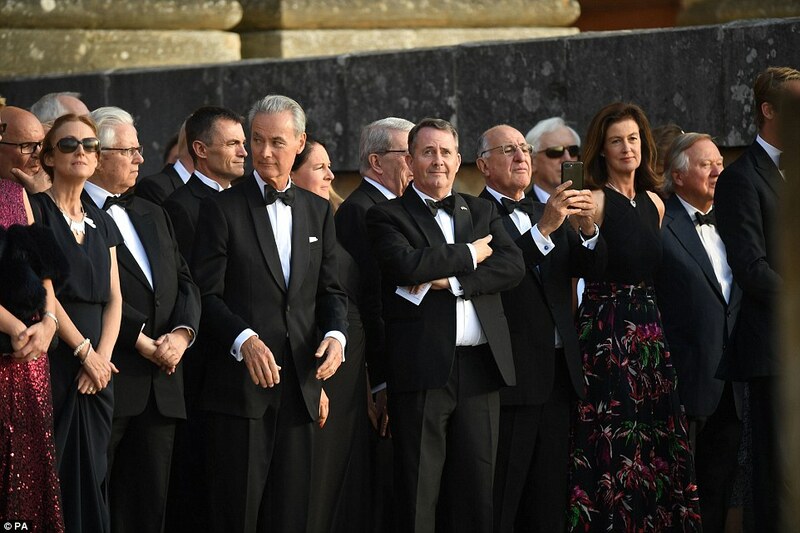 Mrs May was joined at Blenheim by ministers including Chancellor Philip Hammond, Foreign Secretary Jeremy Hunt, Defence Secretary Gavin Williamson, Trade Secretary Liam Fox, Business Secretary Greg Clark, Transport Secretary Chris Grayling and her effective deputy David Lidington. Boris Johnson missed out on a seat at the table by resigning as foreign secretary on Monday in protest at Mrs May’s Brexit policy, though Mr Trump has said he might try to speak to him during his visit. 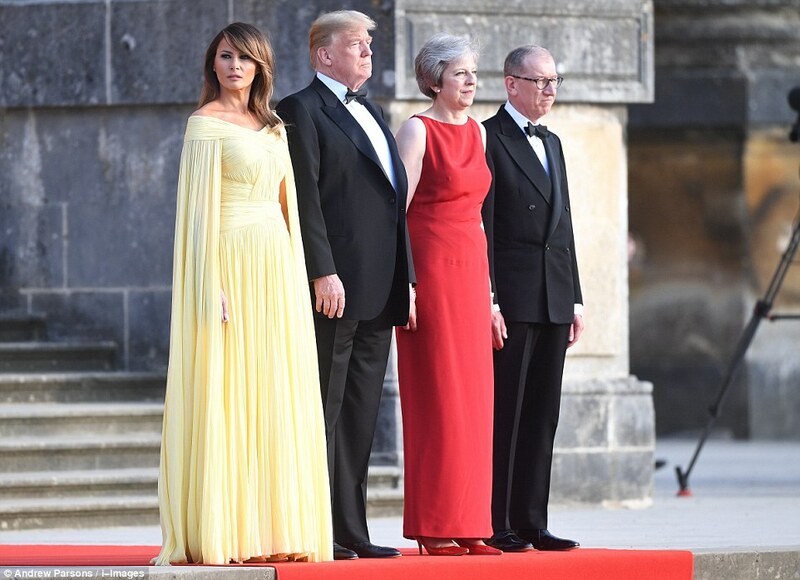 Mrs May, dressed in an ankle length red gown and red high heeled shoes, and her husband Philip, in black tie, welcomed Mr Trump and wife Melania to the gala dinner on the first evening of the President’s working visit to the UK. 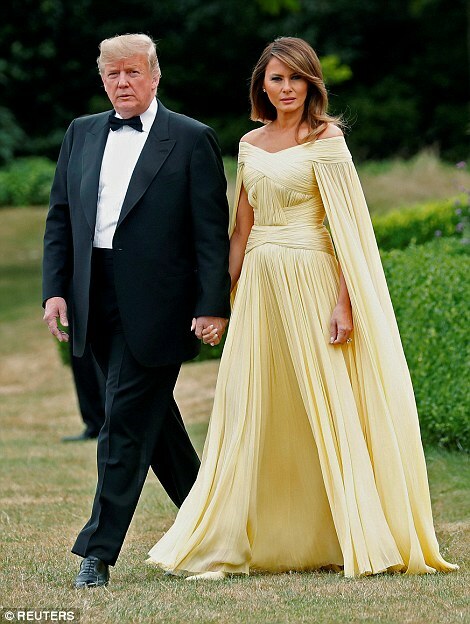 Mrs Trump was dressed in a floor length yellow ball gown. 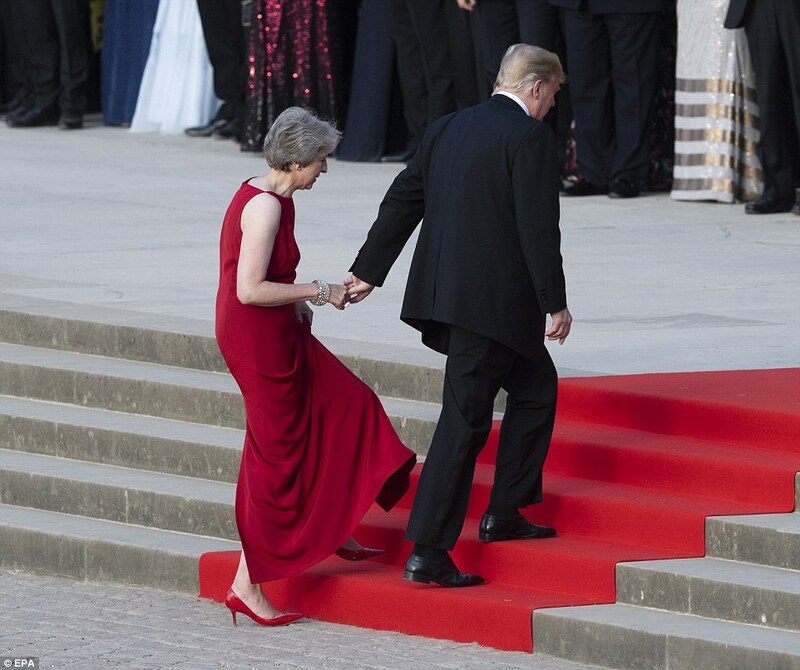 In a near replay of their famous hand-holding at the White House, the president briefly took Mrs May’s hand as they went up the stairs into the palace. 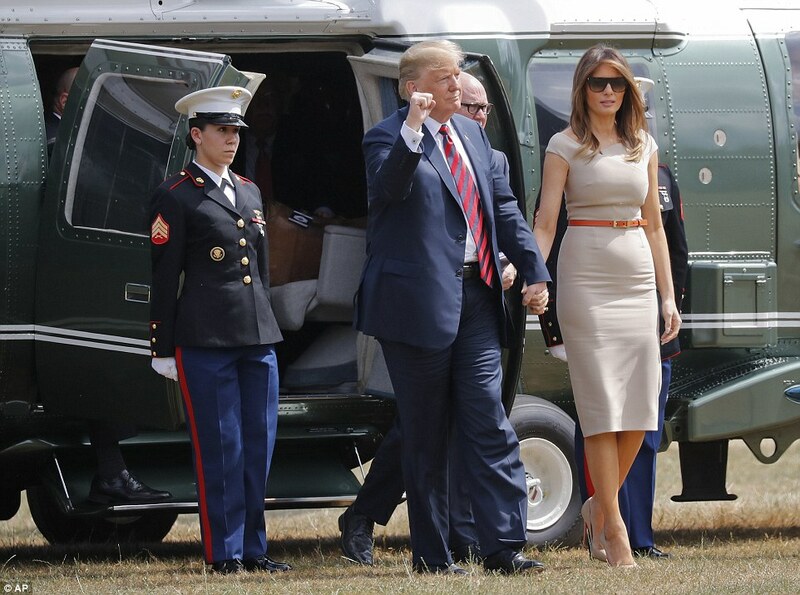 The Trumps arrived from London by Marine One helicopter before being driven in the armoured presidential limousine, nicknamed The Beast, to the opulent 18th century palace near Woodstock in Oxfordshire. 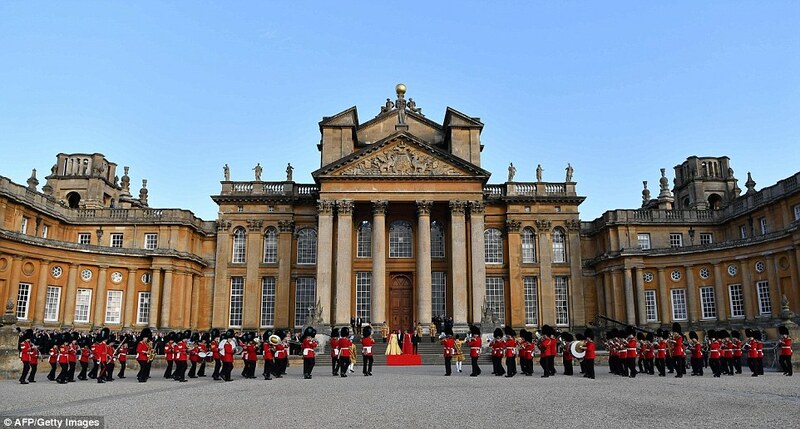 Built for the Duke of Marlborough in recognition of his military victories and named a Unesco World Heritage Site, Blenheim is one of a series of historic architectural gems Mr Trump will visit on a four-day trip. 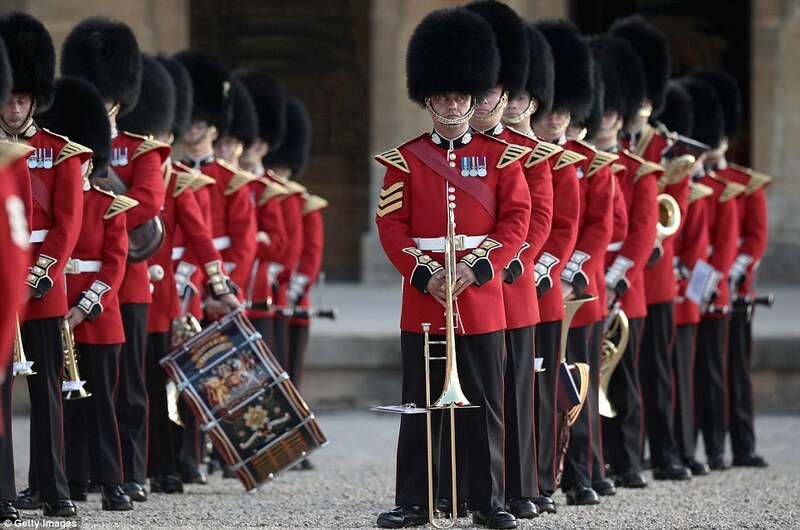 His arrival was marked by a military ceremony, with bandsmen of the Scots, Irish and Welsh Guards playing the Liberty Fanfare, Amazing Grace and the National Emblem. 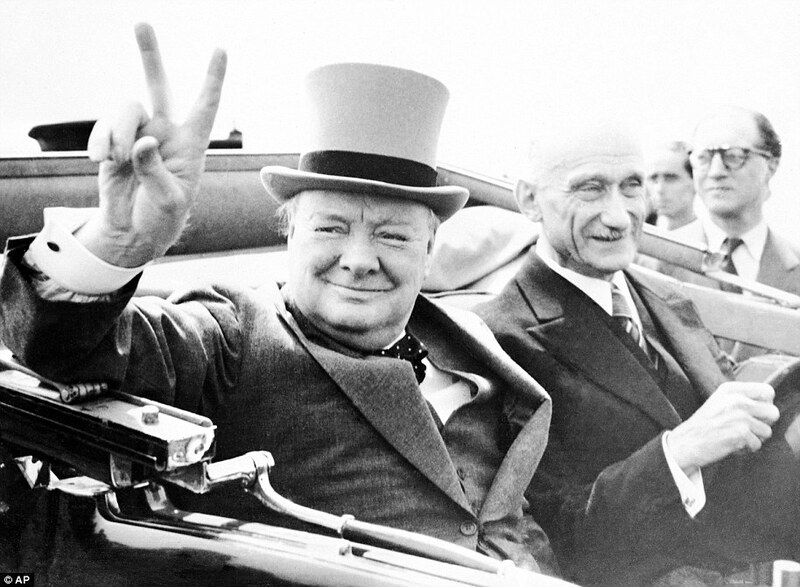 Mrs May told him: ‘Mr President, Sir Winston Churchill once said that ‘to have the United States at our side was, to me, the greatest joy’. ‘The spirit of friendship and co-operation between our countries, our leaders and our people, that most special of relationships, has a long and proud history. Mrs May said that the history, language, values and culture shared by the UK and US ‘inspire mutual respect’ and make the two nations ‘not just the closest of allies, but the dearest of friends’. 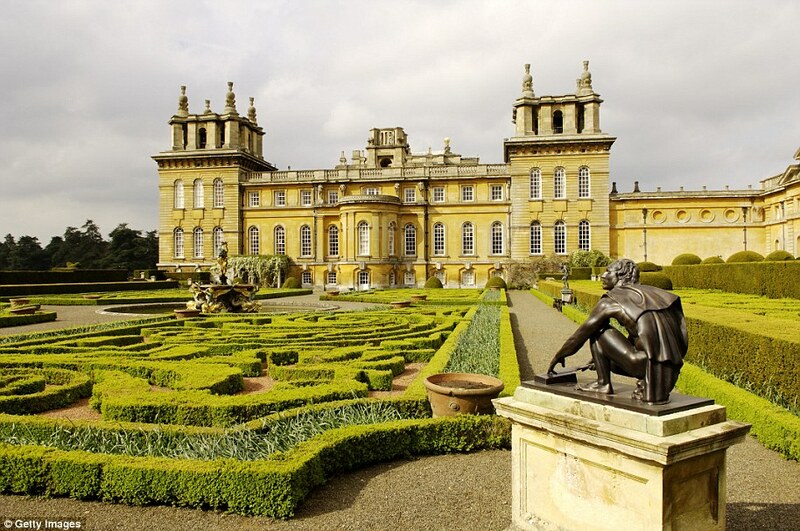 Presented by Queen Anne to the Duke of Marlborough, John Churchill in 1704, Blenheim Palace has always been a symbol of British pride. The astonishing Oxfordshire pile has seen everything from Sir Winston Churchill’s birth in 1874 to two World Wars in which it acted both as a military hospital and a college for boys. The baroque-style site set in 11,500 acres was listed as a World Heritage site by UNESCO in 1987 and is owned by 13 trustees including Sir Rocco Forte of Rocco Forte Hotels. 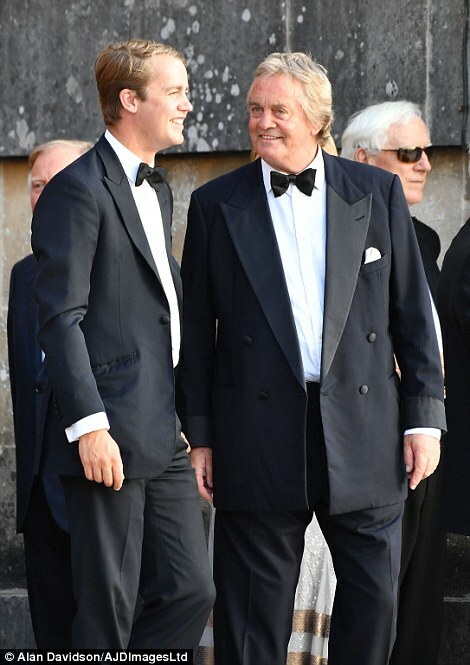 Currently the 12th Duke of Marlborough, Jamie Blandford, and his family live in a section of the palace, although he does not appear to be on the board of trustees. 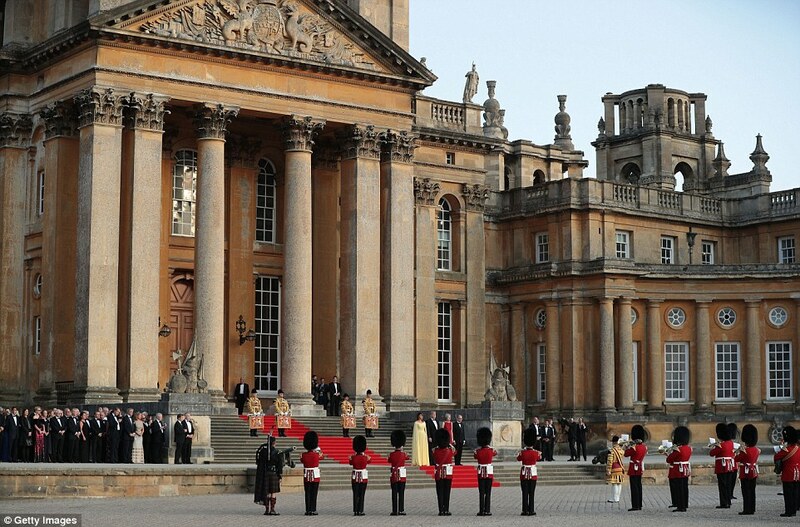 In more recent years, Blenheim has been used as a set in a number of blockbuster films. The famous ‘Harry Potter tree’ that appeared in Severus Snape’s flashback scene in Harry Potter and the Order of the Phoenix still stands in the palace grounds, despite fears the ancient Cedar had developed a deadly disease two years ago. The palace’s additional film credits include the James Bond film, Spectre 007, in which it doubled as Rome’s Palazzo Cadenza, and Mission Impossible – Rogue Nation, in which the building’s Green Writing Room acted as the set for a crucial meeting between the British Prime Minister and a secret agent. Perhaps Mission Impossible’s location team were inspired by the events of September 1940, when MI5 used Blenheim Palace as a real-life base. Originally called Woodstock Manor, the land was given to the first Duke of Marlborough by the British in recognition of an English victory over the French in the war of the Spanish Succession. A Column of Victory stands central to the 2,000 acres of parkland and 90 acres of formal garden landscaped by Lancelot ‘Capability’ Brown. At 134ft-tall the monument depicts the first Duke of Marlborough as a Roman General. Meanwhile the magnificent Baroque palace was designed by Sir John Vanbrugh who reportedly aimed to create a ‘naturalistic Versailles’. In an apparent plea to the president to remember his allies when he meets Vladimir Putin in Helsinki in Monday, she noted that Britain and America work closely together in the interests of their shared security, ‘whether through targeting Daesh terrorists or standing up to Russian aggression’. The Countess of Wessex’s Orchestra played British and American hits of the 20th century during dinner. 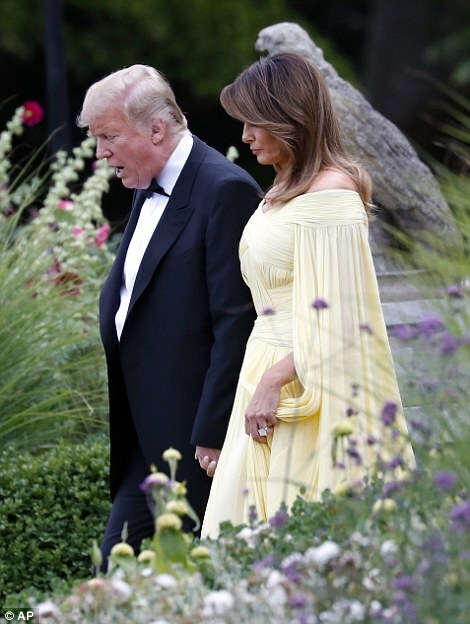 And Mr Trump, whose mother was Scottish, was due to be piped out by the Royal Regiment of Scotland as he and Melania left to spend the night at the US ambassador’s residence in London’s Regent’s Park. 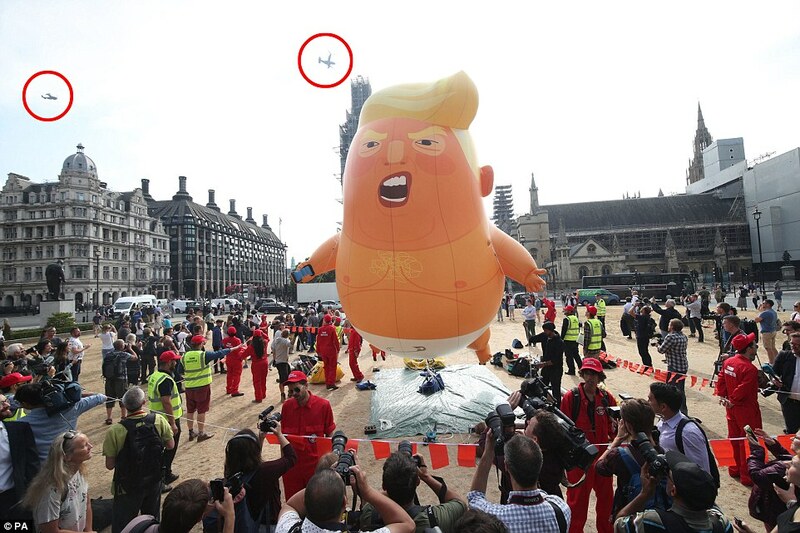 Outside the palace gates, several hundred protesters waved banners and placards reading Dump Trump, Not Welcome Here, Protect children Not Trump and Keep Your Tiny Hands Off My P****! 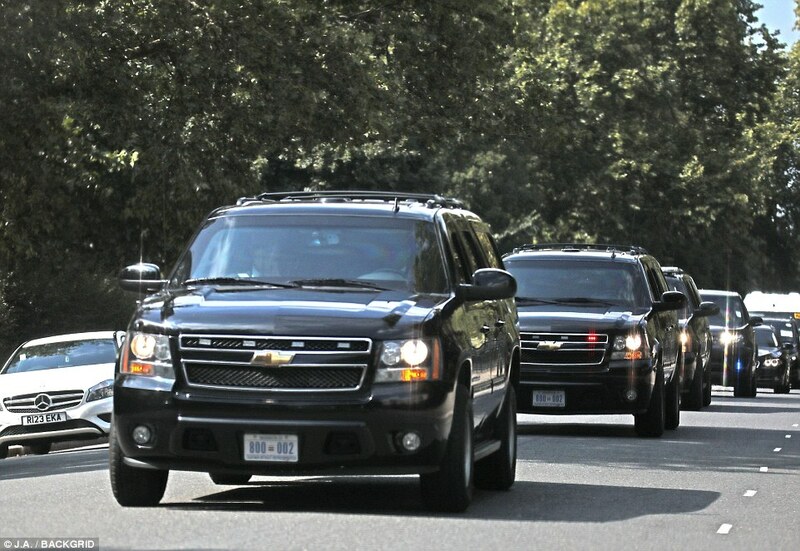 Most people, a number of whom said they worked at the embassy in London, were tight-lipped as they left a secured area in the park near the US ambassador’s residence, where Mr Trump and his wife Melania stayed overnight. Some cited ‘job restrictions’ while another said he was wary of the press. But one woman said Mr Trump had given a ‘short speech’ which she described as ‘lovely’. 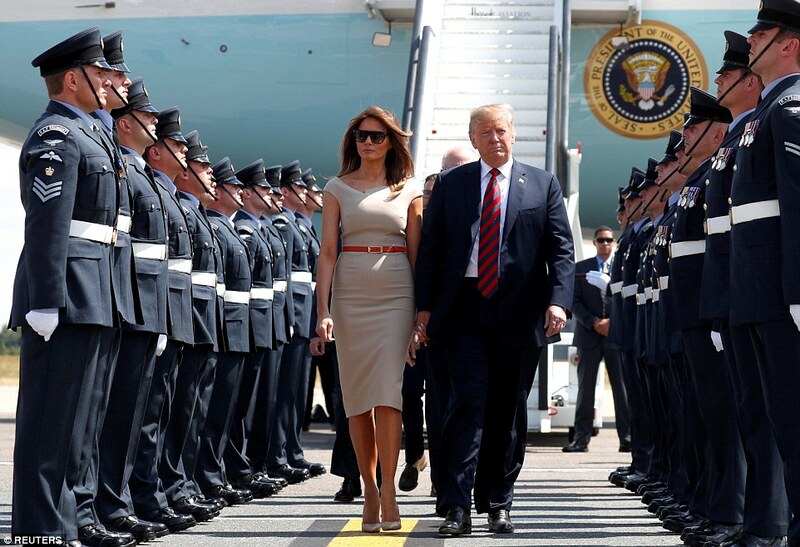 The US President, 72, who will meet the Prime Minister and Queen during a four-day red carpet visit, landed at Stansted Airport on Air Force One at just before 2pm and walked off hand-in-hand with First Lady Melania. 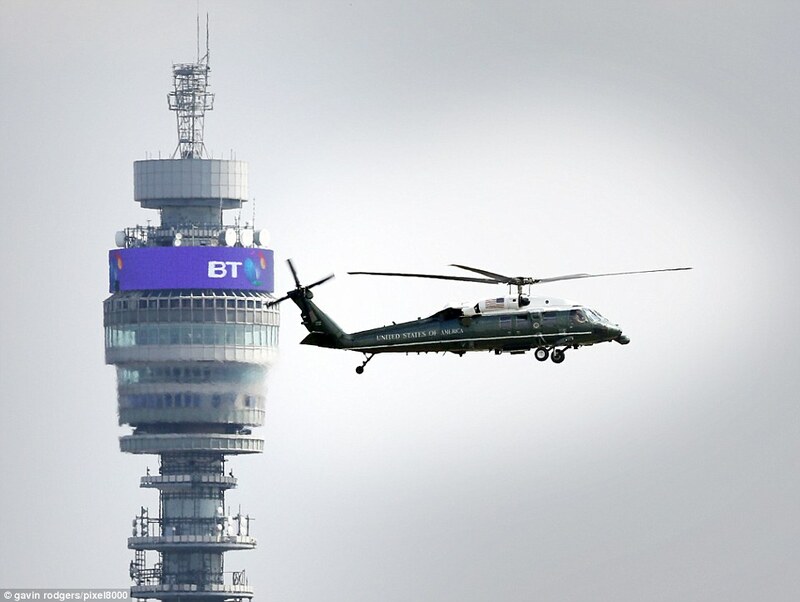 Earlier Mr Trump gave an extraordinary press conference in Brussels after giving NATO leaders a bruising over defence cash, where he wrote off protesters and said Theresa May’s Brexit deal probably wasn’t what Britons voted for. When asked about the threat of mass demonstrations he said: ‘I think it’s fine. A lot of people like me there. I think they agree with me on immigration. I think that’s why Brexit happened’. 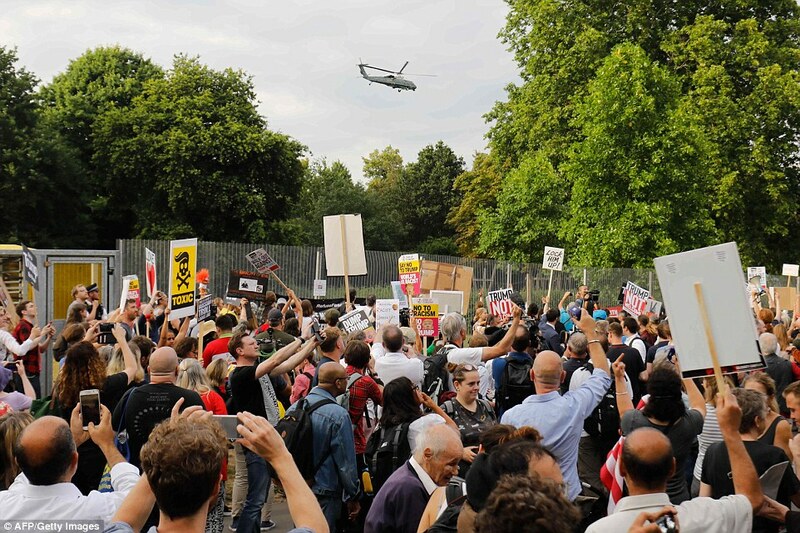 Protesters, meanwhile, staged a noisy gathering near Winfield House where Trump and his wife Melania spent the night. 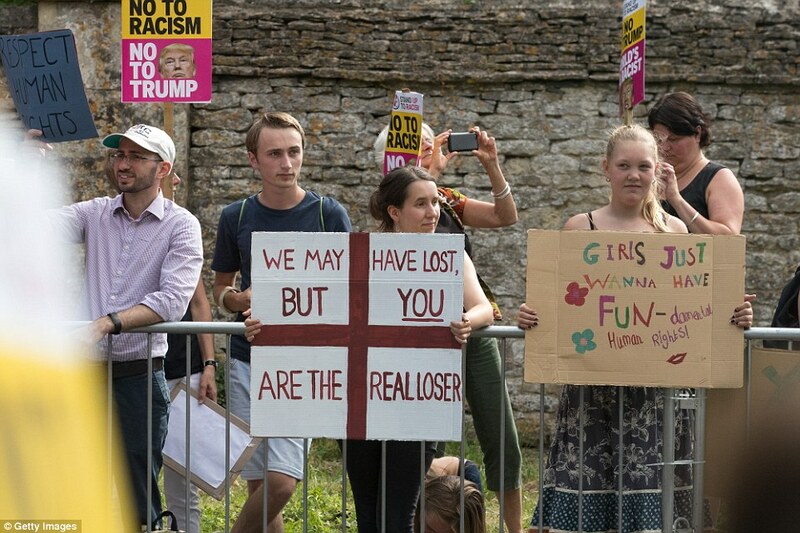 A large group of demonstrators adopted an alternative version of England’s World Cup anthem Three Lions as they sang and shouted, ‘He’s going home, he’s going home, he’s going, Trump is going home’ in Regent’s Park. 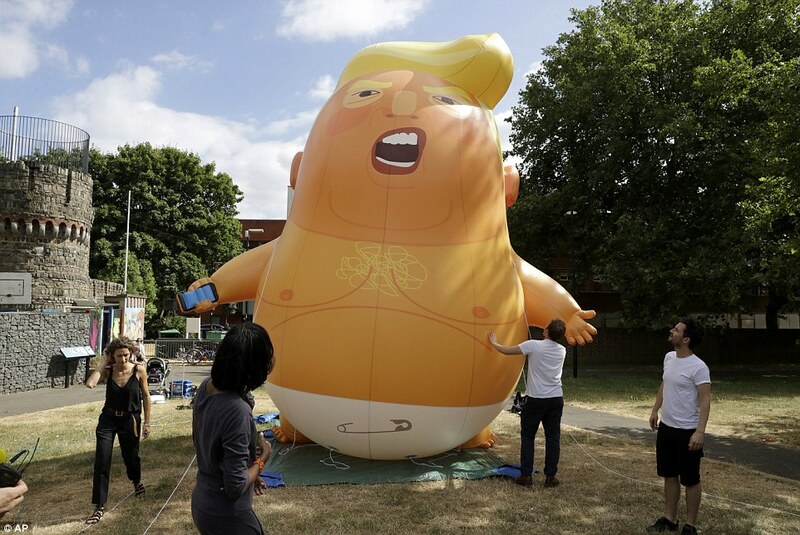 A wide range of campaigners, including unions, faith and environmental groups came together to unite in opposition to Mr Trump’s visit to the UK, organisers said. 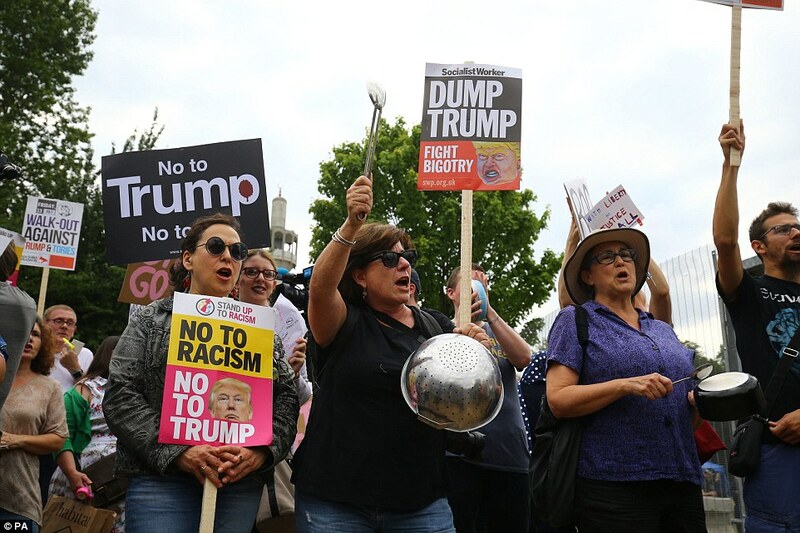 Bells and whistles rang out alongside cheers and claps for speakers throughout the protest, staged near the US ambassador’s official residence, as the crowd was encouraged to shout loudly in the hope Mr Trump could hear. 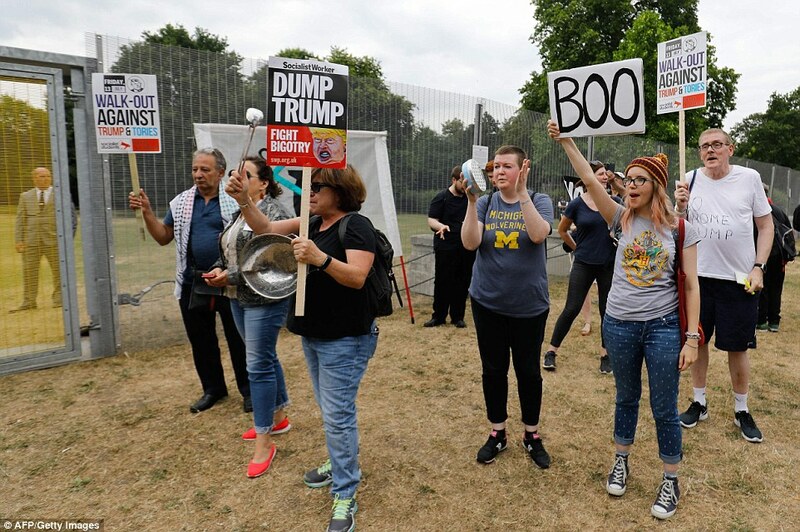 Placards including ‘Dump Trump’ and ‘Trump not welcome’ were held aloft by the enthusiastic crowd before some began banging on the metal fence which has been erected in the park. A clip of what organisers said was the sound of children crying at the US border after being separated from their parents was played and described by those listening as ‘disgusting’. 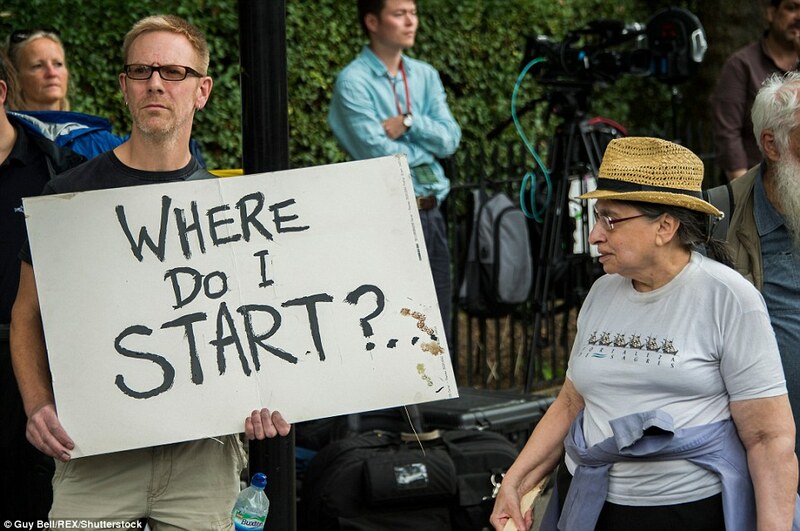 Sam Fullerton from Oklahoma said while Mr Trump may not see the protest from Winfield House which is set back inside the fenced-off area in the park, he hoped he would hear it or see it on television. His wife Jami, a Hillary Clinton supporter, said the protest was ‘democracy at its finest’. ‘I’m here to witness democracy outside of our own country to see how other democratic societies express themselves,’ she said. John Rees, of the Stop The War group, described Mr Trump as a ‘wrecking ball’ as he addressed those gathered. 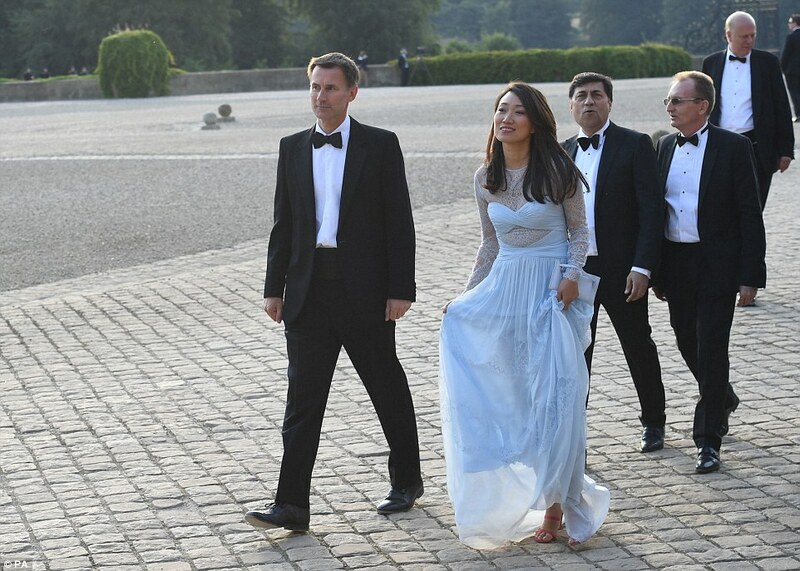 Some of those gathered said they planned to stay for Mr Trump’s return after the First Couple dine at Blenheim Palace with Theresa May. Brexit crisis – what´s next for Theresa May? – How would rivals launch a leadership challenge? 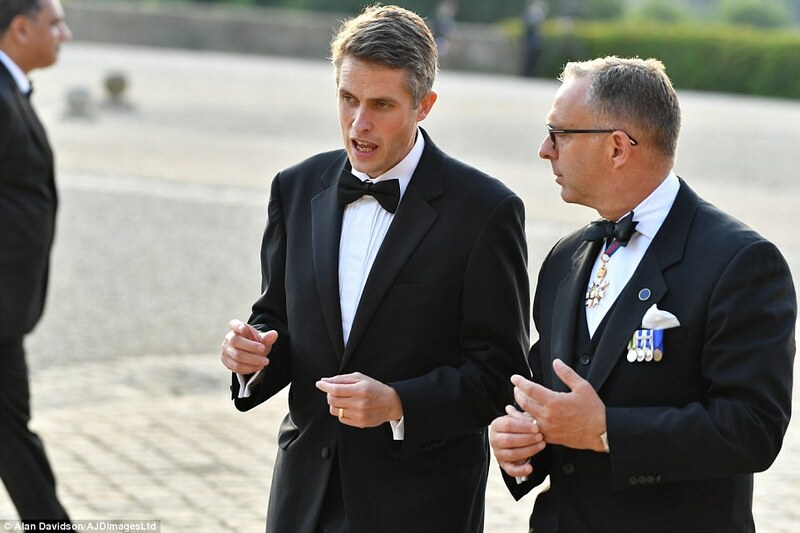 To trigger a no-confidence vote in the PM, 15% of Tory MPs must write to the chairman of the backbench 1922 Committee, currently Sir Graham Brady. According to reports, Sir Graham told a meeting on Monday night that he had not received the 48 letters required. There are believed to be around 60 backbenchers in the Eurosceptic European Research Group (ERG), along with many others who would like to see a “harder” Brexit than the version set out at Chequers last week, making Mrs May vulnerable to an anti-EU revolt. 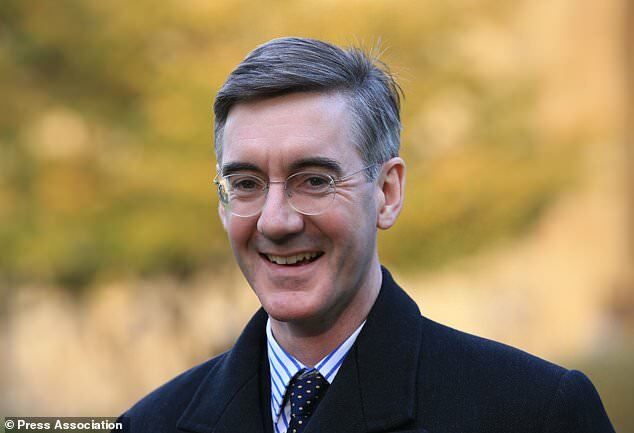 The ERG’s chairman, Jacob Rees-Mogg, has said he has not sent a letter to the 1922 Committee, and expects Mrs May to remain in office at least until Brexit Day in March 2019. Others may take their lead from him. 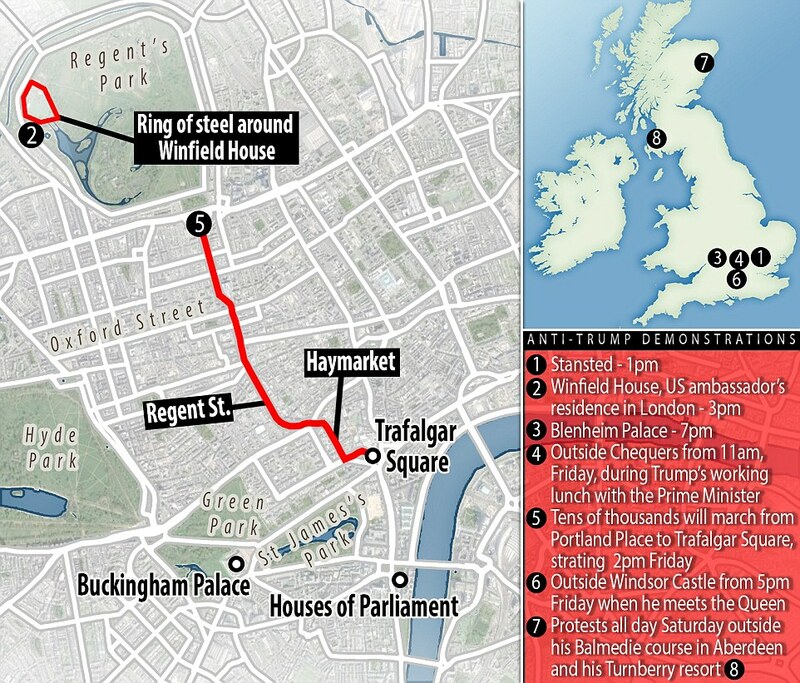 – Who might take on the Prime Minister? Mr Johnson and Mr Davis could be the front-runners in the event of a no-confidence vote, although other figures may launch bids of their own. In his resignation letter, Mr Johnson did not back Mrs May to stay on as Prime Minister, while Mr Davis said she should. According to the Daily Mail, Mr Rees-Mogg said on Monday night that Mr Johnson would make an “brilliant” prime minister. – What if Mrs May refuses to stand aside? If she chose to fight, she would need the support of more than 50% of Conservative MPs – currently 159 – in the confidence vote to stay in office. But even if she achieved that threshold, a narrow victory would seriously undermine her authority and may lead her to question whether it was worth carrying on. If she lost the vote, she would not be able to stand in the subsequent leadership contest, arranged by the chairman of the ’22. – Why would critics not want to challenge Mrs May? Aside from the loyalty which MPs naturally feel towards their leader, many are concerned that Mrs May’s removal could plunge the party into chaos, with no obvious replacement lined up, potentially setting the scene for Jeremy Corbyn to seize power in a new general election. Some Brexiteers think the most crucial issue is to ensure that Britain actually leaves the EU in March next year, and feel that whatever arrangements Mrs May has secured can always be renegotiated once that point has been reached. – What has she said? Mrs May raised the prospect of a Jeremy Corbyn-led government to appeal for Tory unity on Brexit at a meeting of the ’22 on Monday night. Ministers hit back at big business yesterday for ‘undermining’ Theresa May on Brexit, warning it increased the risk of a bad deal with Brussels. 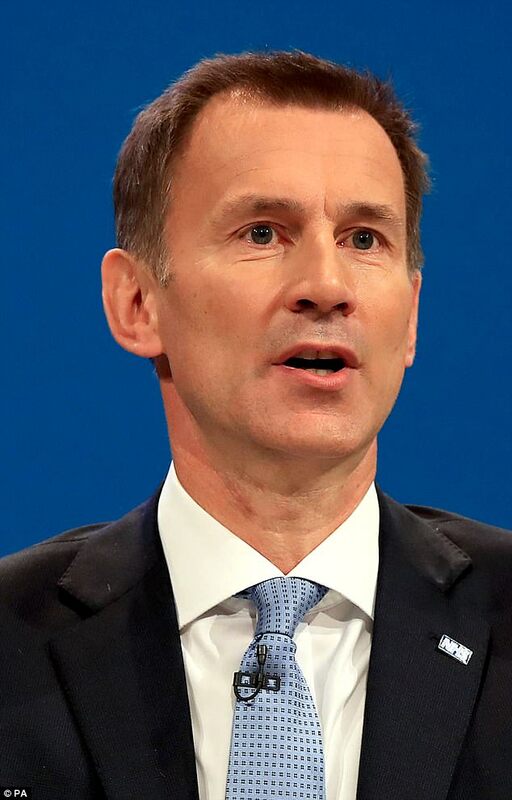 Health Secretary Jeremy Hunt rounded on the French-based aerospace giant Airbus for making ‘completely inappropriate’ threats. 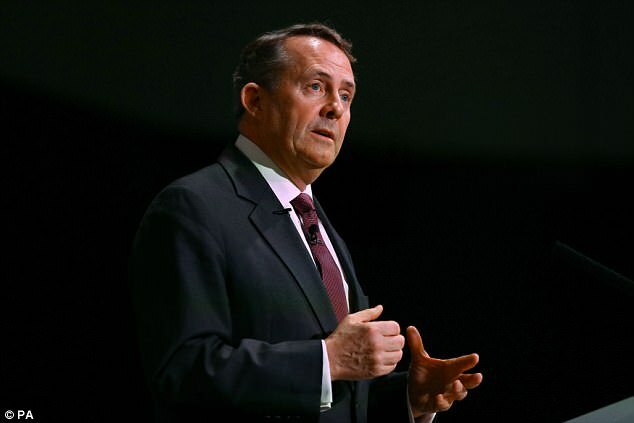 And International Trade Secretary Liam Fox urged corporations worried about the risk of a ‘no deal’ Brexit to put pressure on Brussels to secure one. Airbus, which employs 14,000 people in the UK, warned last week that it could quit the country if Britain leaves the EU without a deal. This was followed up by a claim from BMW that its British operations would become ‘less competitive’ unless ministers provide clarity on future trading relationships with the EU soon. Yesterday it emerged that five business lobby groups, headed by the Confederation of British Industry, have written to the Prime Minister warning that a lack of clarity on Brexit ‘could cost the UK economy billions of pounds’. They have copied in Jean-Claude Juncker, president of the European Commission, and Donald Tusk, president of the European Council. Asked about the intervention from Airbus, Mr Hunt told the BBC’s Andrew Marr show yesterday: ‘I thought it was completely inappropriate for businesses to be making these kinds of threats for one very simple reason. ‘We are at an absolutely critical moment in the Brexit discussions and what that means is that we need to get behind Theresa May to deliver the best possible Brexit – a clean Brexit. Meanwhile, Dr Fox told Sky News: ‘Companies are right to say that if there’s no deal that won’t be good for Britain, but it won’t be good for Europe either. Senior Tories believe big business is being urged to speak out publicly by leading Cabinet Remainers, including Business Secretary Greg Clark and Chancellor Philip Hammond, in order to strengthen their hand in the debate about future trading relations with the EU. Some in Downing Street believe pro-Remain ministers are using business to try to tilt the debate ahead of a crunch meeting at Chequers next month when the Cabinet will try to thrash out its strategy for future dealings with the EU. Mr Clark held private talks with Airbus days before it spoke out. And yesterday it emerged that he holds weekly meetings with a coalition of business lobby groups that have issued a fresh warning over Brexit to the Prime Minister. In a joint letter, the CBI, Institute of Directors, Engineering Employers Federation, British Chambers of Commerce and Federation of Small Businesses warn that firms are starting to pull investment from the UK because of frustration over Brexit talks. The five groups warn: ‘The business community is concerned that time is running out.’ The intervention will fuel growing government irritation at the role being played by business to prevent a clean break with the EU. Both the CBI and EEF have called for the UK to stay in the customs union, preventing Britain from setting an independent trade policy. Former CBI chief Digby Jones said yesterday Brexit divisions were undermining Mrs May’s negotiating position, making it harder for her to say credibly that she is prepared to walk away without a deal. 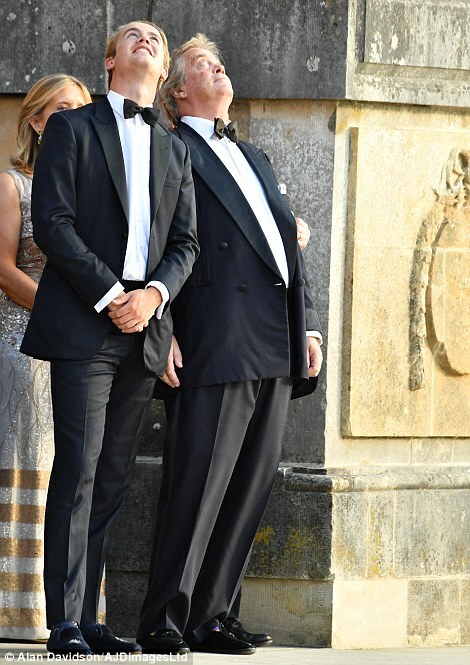 Lord Jones, a former Labour trade minister, added: ‘If the whole country had come together on this right at the start, if Michel Barnier [the EU’s chief negotiator] and Berlin were presented with a united front in Britain at the start, then walking away would not have been a catastrophe.’ At the weekend, Mr Johnson appeared to question Mrs May’s softly-softly tactics, saying voters ‘don’t want some bog roll Brexit – soft, yielding and seemingly infinitely long’. Calling for a ‘full British Brexit’, the Foreign Secretary added voters ‘don’t want some sort of hopeless compromise, some perpetual push-me, pull-you arrangement in which we stay half in and half out in a political no man’s land. The CBI warned repeatedly against leaving the EU during the referendum campaign. In March 2016 it said Brexit would cause a ‘serious economic shock’ that could destroy 950,000 jobs and cost the country £100billion by 2020 by damaging growth. The employment rate has climbed to a record of 75.6 per cent. There are 32.4million people in work – 659,000 more than before the vote. The unemployment rate has fallen to 4.2 per cent, its lowest since 1975. The CBI’s forecast of a £100billion economic hit by 2020 also appears mistaken. It said growth would fall to an average 0.9 per cent in the worst case scenario after a vote for Brexit. But the economy grew at 1.9 per cent in 2016 and 1.8 per cent last year. The post-vote fall in the pound acted as a boost for manufacturers, with surveys consistently showing a surge in exports. Factory output has grown for the past 22 months, a survey by IHS Markit shows. Meanwhile, the number of manufacturing jobs has risen by 31,000 to 2.5million since the referendum. The BCC was neutral during the referendum campaign. But in September 2016 after the vote to Leave, it cut its growth forecasts from 2.2 per cent to 1.8 per cent in 2016 and from 2.3 per cent to 1 per cent in 2017. The economy beat the BCC’s forecasts in 2016 by 0.1 percentage points. Last year it did much better than the organisation expected, with growth of 1.8 per cent. The economy grew by 1.9 per cent in 2016. At the start of 2017, an FSB survey showed confidence had bounced back to where it was before the vote. An IOD survey after the vote found 25 per cent of its members were planning a hiring freeze and 5 per cent were threatening to make redundancies. 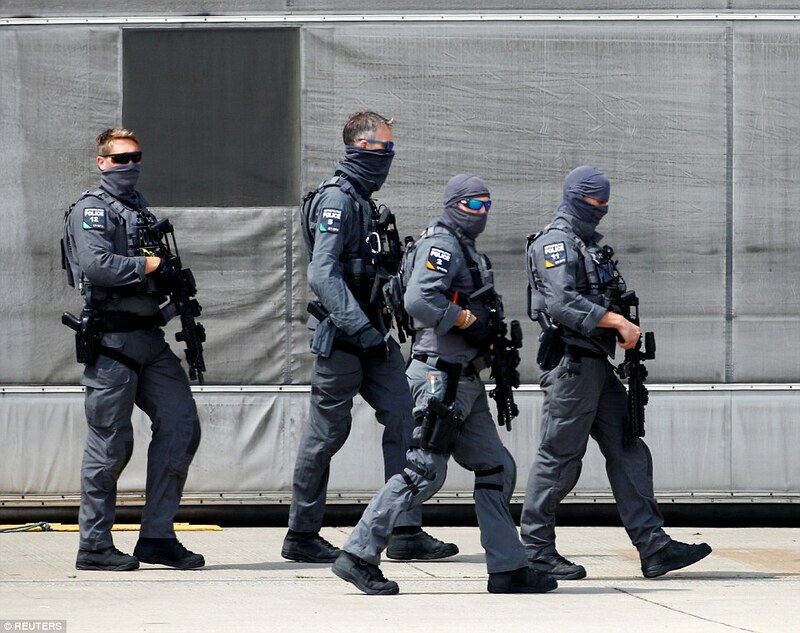 Around a fifth claimed they were planning to move operations and jobs to cities such as Frankfurt and Dublin. The number of people in employment rose by 44,000 in the three months after the Brexit vote. Redundancies rose slightly after the vote, but have fallen back to below their pre-referendum levels. Relocations to foreign cities are harder to measure. But in banking many chief executives have quietly scaled back their plans to shift workers abroad. e outcome of the investigation and will be challenging it in court. Withdrawal from the European Union is governed by Article 50 of the Treaty on European Union. Under the Article 50 invocation procedure, a member notifies the European Council, whereupon the EU is required to negotiate and conclude an agreement with [the leaving] State, setting out the arrangements for its withdrawal, taking account of the framework for its future relationship with the [European] Union. The negotiation period is limited to two years unless extended, after which the treaties cease to apply. There was a discussion whether parallel negotiation of withdrawal terms and future relationships under Article 50 are appropriate (Chancellor Merkel’s initial view) or whether Britain did not have the right to negotiate future trade with the EU27 as this power is arguably reserved to the EU as long as the UK is a member (the view of a European Commission lawyer). Although the 2015 Referendum Act did not expressly require Article 50 to be invoked, the UK government stated that it would expect a leave vote to be followed by withdrawal. Following the referendum result, Cameron resigned and said that it would be for the incoming Prime Minister to invoke Article 50. The Supreme Court ruled in the Miller case in January 2017 that the government needed parliamentary approval to trigger Article 50. Subsequently, the House of Commons overwhelmingly voted, on 1 February 2017, for a government bill authorising the prime minister to invoke Article 50, and the bill passed into law as the European Union (Notification of Withdrawal) Act 2017. Theresa May then signed a letter invoking Article 50 on 28 March 2017, which was delivered on 29 March by Tim Barrow, the UK’s ambassador to the EU, to European Council President Donald Tusk. It has been argued that the Article 50 withdrawal process may be halted unilaterally by the British government, with which opinion the author of Article 50 itself, Lord Kerr, has expressed agreement. The European Parliament’s Brexit committee has noted that unilateral revocation, regardless of its legality, poses a substantial moral hazard, with EU member states potentially able to abuse it to blackmail the Union. Both parties to the withdrawal negotiation are bound by Article 50 (3), which states explicitly that the EU treaties will cease to apply “from the date of entry into force of the withdrawal agreement or, failing that, two years after” the withdrawal notification unless the EU Council and UK agree to extend the two-year period. On the British side, the European Union (Withdrawal) Act 2018 defines “exit day” as “29 March 2019 at 11.00 p.m”. The British and EU negotiators agreed that initial negotiations, relating especially to residency rights, would commence in June 2017 (immediately after the French presidential and parliamentary elections), and full negotiations, relating especially to trading agreements, could commence in October 2017 (immediately after the German federal election, 2017). The first day of talks was 19 June. On 28 June 2016, Chancellor of Germany Angela Merkel, and on the following day European Council President Tusk, stated that the UK could remain in the European Single Market (ESM) only if the UK accepted its four freedoms of movement: for goods, capital, services, and labour. In October, Prime Minister Theresa May emphasised that ending the jurisdiction of EU law and free movement from Europe were the UK’s priorities, along with British and EU companies having maximum freedom to trade in the UK and the ESM. In November 2016, May proposed that Britain and the other EU countries mutually guarantee the residency rights of the 3.3 million EU immigrants in Britain and those of the 1.2 million British citizens living on the Continent, in order to exclude their fates being bargained during Brexit negotiations. Despite initial approval from a majority of EU states, May’s proposal was blocked by Tusk and Merkel. In January 2017, the Prime Minister presented 12 negotiating objectives and confirmed that the UK government would not seek permanent single market membership. The European Parliament’s lead negotiator Guy Verhofstadt responded that there could be no “cherry-picking” by the UK in the talks. The statutory period for negotiation began on 29 March 2017, when the UK formally submitted a letter notifying withdrawal. The letter called for a “deep and special relationship” between the UK and the EU, and warned that failure to reach an agreement would result in EU-UK trade under World Trade Organisation terms, and a weakening of the UK’s co-operation in the fight against crime and terrorism. The letter suggested prioritising an early deal on the rights of EU citizens in the UK and vice versa, and stated that the UK would not seek to remain within the ESM. Instead, the UK would seek a free trade agreement with the EU. In response, Merkel insisted that the EU would not discuss future co-operation without first settling the terms of leaving the EU; Verhofstadt referred to the letter as “blackmail” with regard to the point on security and terrorism, and EU Commission president Jean-Claude Juncker said the UK’s decision to quit the block was a “choice they will regret one day”. On 29 April 2017, immediately after the first round of French presidential elections, the EU27 heads of state accepted negotiating guidelines prepared by Tusk. The guidelines take the view that Article 50 permits a two-phased negotiation, in which the UK first agrees to a financial commitment and to lifelong benefits for EU citizens in Britain, and then negotiations on a future relationship can begin. In the first phase, the EU27 would demand the UK pay a “divorce bill”, initially estimated as amounting to £52bn and then, after additional financial demands from Germany, France, and Poland, to £92bn. A report of the European Union Committee of the House of Lords, published on 4 March 2017, stated that if there is no post-Brexit deal at the end of the negotiating period, the UK could withdraw without payment. On 22 May 2017, the European Council authorised its negotiators to start the Brexit talks and it adopted its negotiating directives. The first day of talks took place on 19 June, where Davis and Michel Barnier, European Chief Negotiator for Brexit, agreed to prioritise the question of residency rights, while Davis conceded that a discussion of the Northern Irish border would have to await future trade agreements. On 22 June 2017, Prime Minister May guaranteed that no EU citizen living legally in the UK would be forced to leave, and offered that any EU citizen who lived in the UK for more than five years until an unspecified deadline between March 2017 and March 2019 would enjoy the same rights as a UK citizen, conditional on the EU providing the same offer to British expatriates living in the EU. The Prime Minister detailed her residency proposals on 26 June, but drew no concessions from EU negotiators, who had declined to expedite agreement on expatriates by the end of June 2017, and who are hoping for European courts to continue to have jurisdiction in the UK with regards to EU citizens, according to their negotiation aims published in May 2017. The second round of negotiations began in mid-July 2017. Progress was made on the Northern Irish border question; UK negotiators requested a detailed breakdown of the “divorce bill” demand; and the EU negotiators criticised the UK’s citizenship rights offer.David Davis did not commit to a net payment by the UK to the EU with regards to the requested divorce bill, while Michel Barnier would not compromise on his demand for the European Court of Justice to have continuing jurisdiction over the rights of EU citizens living in the UK after Brexit, rejecting the compromise proposal of a new international body made up of British and EU judges. On 16 August 2017, the UK government disclosed the first of several papers detailing British ambitions following Brexit, discussing trade and customs arrangements. On 23 August, Theresa May announced that Britain will leave the EU Court of Justice’s direct jurisdiction when the Brexit transition period that is planned after March 2019 ends, but that both the British courts and the EU Court of Justice will also keep “half an eye” on each other’s rulings afterwards as well. One of the UK government’s position papers published in August called for no additional restrictions for goods already on the market in the UK and EU. The third round of negotiations began on 28 August 2017. There was disagreement over the financial settlement; The Irish Times explained that British negotiators referred to the seven-year Multiannual Financial Framework (MFF or Maff) for the period 2014-2020 agreed by member states and the EU parliament as a “planning tool” for the next period rather than a legally-binding financial obligation on member states. The British case is that the MFF sets ceilings on spending under various headings and is later radically revised during the annual budget process when real legal obligations on each state arises. This contrasts with the EU Commission’s methodology for calculating the UK Brexit bill which involves dividing the MFF into the shares historically agreed by each member state. On the Irish border question there was a “breakthrough”, with the British side guaranteeing free movement of EU citizens within the Common travel area constituting Ireland and the United Kingdom. On 5 September 2017, Davis said that “concrete progress” had been made over the summer in areas such as protecting the rights of British expats in the EU to access healthcare and over the future of the Irish border, while significant differences over the “divorce bill” remained. On 9 September, the EU Commission published several negotiating papers, including one in which the EU concedes/declares that it is the responsibility of the UK to propose solutions for the post-Brexit Irish border. The paper envisages that a “unique” solution would be permissible here; in other words, any such exceptional Irish solution would not necessarily be a template for post-Brexit relationships with the other EU members. On 22 September 2017, May announced further details of her Brexit proposal. In addition to offering 20 billion euros over a two-year transition period and continued acceptance of European immigrants, she also offered a “bold new security relationship” with the EU which would be “unprecedented in its depth” and to continue to make “an ongoing contribution” to projects considered greatly to the EU and UK’s advantage, such as science and security projects. She also confirmed that the UK would not “stand in the way” of Juncker’s proposals for further EU integration. Barnier welcomed May’s proposal as “constructive,” but that it also “must be translated into negotiating positions to make meaningful progress”. Similarly, President of France Emmanuel Macronwas adamant that the EU would not begin negotiations on future EU-UK relationships until “the regulation of European citizens, the financial terms of the exit, and the questions of Ireland” were “clarified” by the UK. The fourth round of talks began on 25 September, with Barnier declaring he had no mandate from the EU27 to discuss a transition deal suggested by Prime Minister May. Davis reiterated that the UK could honour commitments made during its EU membership only in the context of a future “special partnership” deal with the EU. At the European Council meeting of 19/20 October 2017, the 27 leaders of the EU states were to decide whether or not to start trade negotiations with the UK. However, Davis has conceded that so soon after the German elections on 24 September, a German coalition government may not be in place in time for making this decision in October, delaying any European Council decision until their December meeting. EU negotiators have stated that an agreement must be reached between Britain and the EU by October 2018 in order to leave time for national parliaments to endorse Brexit. On 9 October 2017, May announced to the British Parliament that Britain could operate as an “independent trading nation” after Brexit if no trade deal is reached with the EU. In December 2017, EU leaders announced an agreement to begin the next phase of negotiations, with talks on a transition period after March 2019 to begin in early 2018 and discussions on the future UK-EU relationship, including trade and security, to begin in March. After elections in March 2018, the Italian president appointed a eurosceptic Italian government on 1 June 2018, a development expected to affect the Brexit outcome. On 10 June 2018, the Irish Prime Minister Leo Varadkar cleared the path for the June negotiations by postponing the Irish border question until the final Brexit deal in October 2018. On 19 June 2018, the UK and the EU published a joint statement outlining agreements at the negotiators’ level. Michel Barnier praised the “dedication and commitment” of the negotiating teams, and said progress had been made in issues like customs, VAT and the European nuclear agreement, Euratom. In October 2016, Theresa May promised a “Great Repeal Bill”, which would repeal the European Communities Act 1972 and restate in UK law all enactments previously in force under EU law. Subsequently renamed the European Union (Withdrawal) bill, it was introduced to the House of Commons on 13 July 2017. On 12 September 2017, the repeal bill (now renamed as the EU Withdrawal Bill) passed its first vote and second reading by a margin of 326 votes to 290 votes in the House of Commons. The bill was further amended on a series of votes in both Houses of Parliament. After the Act became law on 26 June 2018, the European Council decided on 29 June to renew its call on Member States and Union institutions to step up their work on preparedness at all levels and for all outcomes. The Withdrawal Act fixes the period ending 21 January 2019 for the government to decide on how to proceed if the negotiations have not reached agreement in principle on both the withdrawal arrangements and the framework for the future relationship between the UK and EU; while, alternatively, making future ratification of the withdrawal agreement as a treaty between the UK and EU depend upon the prior enactment of another act of Parliament for approving the final terms of withdrawal when the current Brexit negotiations are completed. In any event, the act does not alter the two year period for negotiating allowed by Article 50 that ends at the latest on 29 March 2019 if the UK has not by then ratified a withdrawal agreement. The Withdrawal Act, and two bills relating to world and cross-border trade after the withdrawal, that were progressing through Parliament when the Act became law in June 2018, allow for various outcomes including no negotiated settlement. A report published in March 2017 by the Institute for Government commented that, in addition to the European Union (Withdrawal) bill, primary and secondary legislation will be needed to cover the gaps in policy areas such as customs, immigration and agriculture.The report also commented that the role of the devolved legislatures was unclear, and could cause problems, and as many as fifteen new additional Brexit Bills may be required, which would involve strict prioritisation and limiting Parliamentary time for in-depth examination of new legislation. The Nuclear Safeguards Bill 2017–19, relating to withdrawal from Euratom, was presented to Parliament in October 2017 and began its Report Stage in January 2018. Replying to questions at a parliamentary committee about Parliament’s involvement in voting on the outcome of the negotiations with the EU, the Prime Minister said that “delivering on the vote of the British people to leave the European Union” was her priority. The shadow Brexit secretary, Keir Starmer, commented that the government did not want a vote at the beginning of the process, to trigger Article 50, nor a vote at the end. A general election was held on 8 June 2017, announced at short notice by the new Prime Minister Theresa May. The Conservative Party, Labour and UKIP made manifesto pledges to implement the referendum, although the Labour manifesto differed in its approach to Brexit negotiations, such as unilaterally offering permanent residence to EU immigrants. The Liberal Democrat Party and the Green Party manifestos proposed a policy of remaining in the EU via a second referendum. The Scottish Nationalist Party manifesto proposed a policy of waiting for the outcome of the Brexit negotiations and then holding a referendum on Scottish independence. Compared to the 2015 general election, the Conservatives gained votes (but nevertheless lost seats and their majority in the House of Commons). Labour gained significantly on votes and seats, retaining its position as the second-largest party. The DUP and Sinn Féin also made gains in votes and seats. Parties losing votes included the SNP, Liberals, Greens, and especially UKIP. On 26 June the Conservatives and the DUP reached a confidence and supply agreement whereby the DUP would back the Conservatives in key votes in the House of Commons over the course of the parliament. The agreement included additional funding of £1 billion for Northern Ireland, highlighted mutual support for Brexit and national security, expressed commitment to the Good Friday Agreement, and indicated that policies such as the state pension triple lock and winter fuel payments would be maintained. Six weeks after the referendum, the Bank of England sought to cushion the potential shock to the economy by lowering interest rates to the record low of 0.25%, and by creating 70 billion pounds of new money, thereby depreciating the pound and encouraging commercial banks to pass on lower borrowing costs. A year-long “wage squeeze” attributed to the referendum ended in February 2018, with wage growth catching up with inflation. Inflation had gradually risen to 3% before receding again. Since the referendum, absolute employment has continuously risen to previously unrecorded levels, and by early 2018 relative unemployment reached its lowest level (4.2%) recorded since 1975. During 2017 the UK continued to be the favourite European destination for foreign physical investment (as distinct from company takeovers), creating 50,000 new jobs, ahead of Germany (31,000 jobs) and France. Factors mentioned were sterling devaluation since the referendum, broadband, and American investment. Official figures for June 2017 (published in February 2018) showed that net EU immigration to the UK had slowed to about 100,000 immigrants per year, corresponding to the immigration level of 2014. Meanwhile, immigration from non-EU countries had increased. Taken together, the two inflows into the UK result in an only slightly reduced net immigration of 230,000 newcomers in the year to June 2017. The Head of the Office of National Statistics suggested that Brexit could well be a factor for the slowdown in EU immigration, but cautioned there might be other reasons. The Department for Exiting the European Union (DExEU) produced reports on the economic impact on 58 industries of Britain leaving the EU. The Labour Party made a freedom of information request for details about the reports, but DExEU said that publishing the information would undermine policy formulation, and that it needed to carry out policymaking in a “safe space”. Labour then proposed a motion of a rarely-used type known as a “humble address” in the Commons on 1 November 2017, calling for the papers to be released; the motion was passed unanimously. The leader of the house, Andrea Leadsom, said that there could be some delay while ministers decided how to release the information without prejudicing Brexit negotiations. Immigration was cited as the second-most important reason for those voting to Leave. KPMG, based on a survey of 2,000 EU workers in UK, estimates that about a million EU citizens working in the UK, see their future in Britain as over or hanging in the balance. A 2017 paper by King’s College London economists Giuseppe Forte and Jonathan Portes found that “while future migration flows will be driven by a number of factors, macroeconomic and otherwise, Brexit and the end of free movement will result in a large fall in immigration from EEA countries to the UK.” According to a 2016 study by Portes, “The spectrum of options for UK immigration policy post Brexit remains wide… However, almost any plausible outcome will result in an increase in regulatory burdens on business; a reduction in the flows of both unskilled and skilled workers; and an increase in illegal working. The key question for policymakers will be how to minimise these negative impacts while at the same time addressing domestic political demands for increased control without antagonising our EU partners to the point of prejudicing other key aspects of the negotiations. This will not be an easy task.” Will Somerville of the Migration Policy Institute wrote that “Future migration levels are impossible to predict in the absence of policy and economic certainty”, but estimated immediately after the referendum that the UK “would continue to receive 500,000 or more immigrants (from EU and non-EU countries taken together) per year, with annual net migration around 200,000”. The decline in EEA immigration is likely to have an adverse impact on the British health sector. According to the New York Times, Brexit “seems certain” to make it harder and costlier for the N.H.S., which already suffers from chronic understaffing, to recruit nurses, midwives and doctors from the rest of Europe. Official figures in March 2017 indicated that EU immigration to the UK continued to exceed emigration, but the difference between immigration and emigration (“net migration”) had fallen to its lowest for three years. The number of EU nurses registering with the NHS fell from 1,304 in July 2016 to 46 in April 2017. Research on the effects that have already materialised in the United Kingdom since the referendum results show that the referendum result pushed up UK inflation by 1.7 percentage points, leading to an annual cost of £404 for the average British household.Another study on the effects that had already materialised found “contrary to public perception, by the third quarter of 2017 the economic costs of the Brexit vote are already 1.3% of GDP. The cumulative costs amount to almost 20 billion pounds and are expected to grow to more than 60 billion pounds by end-2018.” An extension of the latter study to June 2018 showed that the losses amounted to 2.1% of GDP and that the fiscal costs were £23 billion (£440 million a week). According to a Financial Times analysis, the Brexit referendum results had by December 2017 reduced national British income by between 0.6% and 1.3%, which amounts to almost £350 million a week. University of California, Berkeley, economist Barry Eichengreen noted in August 2017 that some of the adverse effects of uncertainty brought about by the Brexit referendum were being made apparent, as British consumer confidence was down and spending had declined to its lowest level in four years. In November 2017, it was reported that European banks had reduced their UK-related assets by €350bn in the 12 months after Brexit vote, and that the trend was expected to increase ahead of the March 2019 Brexit deadline. There is overwhelming or near-unanimous agreement among economists that leaving the European Union will adversely affect the British economy in the medium- and long-term. [a] Surveys of economists in 2016 showed overwhelming agreement that Brexit would likely reduce the UK’s real per-capita income level. A 2017 survey of the existing academic literature found “the research literature displays a broad consensus that in the long run Brexit will make the United Kingdom poorer because it will create new barriers to trade, foreign direct investment, and immigration. However, there is substantial uncertainty over how large the effect will be, with plausible estimates of the cost ranging between 1 and 10 percent of the UK’s income per capita.” These estimates differ depending on whether the UK stays in the European Single Market (for instance, by joining the EEA), makes a free trade agreement with the EU, or reverts to the trade rules that govern relations between all World Trade Organization members. In January 2018, the UK government’s own Brexit analysis was leaked; it showed that UK economic growth would be stunted by 2%-8% for at least 15 years following secession from the EU, depending on the leave scenario. A 2017 study found, on the basis of “plausible, empirically based estimates of the likely impacts on growth and wages using relationships from the existing empirical literature”, that “Brexit-induced reductions in migration are likely to have a significant negative impact on UK GDP per capita (and GDP), with marginal positive impacts on wages in the low-skill service sector.” It is unclear how changes in trade and foreign investment will interact with immigration, but these changes are likely to be important. Former Governor of the Bank of England Mervyn King commented that warnings of economic doom regarding leaving the EU were overstated and that the UK should leave the single market and probably the customs union in order to gain more opportunities, which would lead to improved British economic performance. Short-term macroeconomic forecasts by the Bank of England and other banks of what would happen immediately after the Brexit referendum proved to be too pessimistic. The assessments assumed that the referendum results would create greater uncertainty on financial markets and in business and reduce consumer confidence more than it did. According to Oxford University economist Simon Wren-Lewis, “short term unconditional macroeconomic forecasts are extremely unreliable” and they are something that academic economists do not do, unlike banks. Wren-Lewis notes that long-term projections of the impact of Brexit, on the other hand, have a strong empirical foundation. University of California, Berkeley, economist Barry Eichengreen wrote that economists “have had little success at reliably predicting when and why uncertainty arises” and that it is unclear how severe the impact of uncertainty actually is. King’s College London economist Jonathan Portes said that “short-term economic forecasting is very unreliable”, and compared short-term economic forecasts to weather forecasts and the long-term economic forecasts to climate forecasts: the methodologies used in long-term forecasts are “well-established and robust”. Other economists note that central bank forecasts are not intended for pinpoint accuracy. London School of Economics economist Thomas Sampson notes that it is harder to assess the short-term impact that the transition process to Brexit will have, but that long-term assessments of the post-Brexit period are more reliable. According to the Financial Times, economists are in agreement that the short-term effects are uncertain. On 5 January 2017 Andy Haldane, the Chief Economist and the Executive Director of Monetary Analysis and Statistics at the Bank of England, said that the BoE’s own forecast predicting an immediate economic downturn due to the referendum result was inaccurate and noted strong market performance immediately after the referendum, although some have pointed to prices rising faster than wages. Haldane said that the field of economics was “to some degree in crisis” because of its failure to predict the financial crisis of 2007–2008, and added that the Brexit economic forecast was only inaccurate in its near-term assessment, and that over time, the Bank still expected that Brexit would harm economic growth. Imperial College London economist David Miles responded to Haldane, saying that there was no crisis in economics, and that economists did not purport to be able to forecast with full certainty or predict the precise timing of events. Miles said that it was widely acknowledged among economists that short-term forecasts, such as the BoE’s, are unreliable. Brexit requires relocating the offices and staff of the European Medicines Agency and European Banking Authority, currently based in London. The agencies together employ more than 1,000 people and will respectively relocate to Amsterdam and Paris. The EU is also considering restricting the clearing of euro-denominated trades to eurozone jurisdictions, which would end London’s dominance in this sector. The UK received more from the EU for research than it contributed with universities getting just over 10% of their research income from the EU. All funding for net beneficiaries from the EU, including universities, was guaranteed by the government in August 2016. Before the funding announcement, a newspaper investigation reported that some research projects were reluctant to include British researchers due to uncertainties over funding. Currently the UK is part of the European Research Area and the UK is likely to wish to remain an associated member. As suggested by the Scottish Government before the referendum, the First Minister of Scotland announced that officials were planning an independence referendum due to the result of Scotland voting to remain in the European Union when England and Wales voted to leave. In March 2017, the SNP leader and First Minister Nicola Sturgeon requested a second Scottish independence referendum in 2018 or 2019 (before Britain’s formal exit from the EU). The UK Prime Minister immediately rejected the requested timing, but not the referendum itself. The referendum was approved by the Scottish Parliament on 28 March 2017. Sturgeon called for a “phased return” of an independent Scotland back to the EU. After the referendum, First Minister Sturgeon suggested that Scotland might refuse consent for legislation required to leave the EU, though some lawyers argue that Scotland cannot block Brexit. On 21 March 2018, the Scottish Parliament passed the Scottish Continuity Bill. This was passed due to stalling negotiations between the Scottish Government and the British Government on where powers within devolved policy areas should lie after exit day from the European Union. This Act allows for all devolved policy areas to remain within the remit of the Scottish Parliament and reduces the executive power upon exit day that the UK Withdrawal Bill provides for Ministers of the Crown. The Bill gained Royal Assent on 28 April 2018. The Financial Times said that there were approximately 759 international agreements, spanning 168 non-EU countries, that the UK would no longer be a party to upon leaving the EU. This figure does not include World Trade Organisation or United Nations opt-in accords, and excludes “narrow agreements”, which may also have to be renegotiated. The UK’s post-Brexit relationship with the remaining EU members could take several forms. A research paper presented to the UK Parliament in July 2013 proposed a number of alternatives to membership which would continue to allow access to the EU internal market. These include remaining in the European Economic Area, negotiating deep bilateral agreements on the Swiss model, or exit from the EU without EEA membership or a trade agreement under the WTO Option. There may be an interim deal between the time the UK leaves the EU and when the final relationship comes in force. There is still great uncertainty about Brexit’s impact on the border between the Republic of Ireland and Northern Ireland, in particular the impact it may have on the economy and people of the island were a “hard border” to be put in place. At present (November 2017), both the UK and the Republic of Ireland are members of the EU, and therefore both are in the Customs Union and the Single Market. There is freedom of movement for all EU nationals within the Common Travel Area and there are no customs or fixed immigration controls at the border. 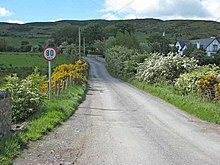 Since the 1998 Good Friday Agreement (an international treaty between the UK and Ireland as well as an agreement within Northern Ireland), the border has been essentially invisible. Following Brexit, the border between Northern Ireland and the Republic of Ireland will become a land border between the EU and a non-EU state. It is therefore possible that the border will return to being a “hard” one, with fewer, controlled, crossing posts and a customs infrastructure. This would be a return to the position before both states joined the EU with the additional point that, unless the Free Travel Area is maintained, passport checks may also be required. This outcome, or one like it, is referred to as a “Hard Border” and both the EU and the UK have agreed this would be a poor outcome to be avoided if possible. Creating a border control system between Ireland and Northern Ireland could jeopardise the Good Friday Agreement. When in 1922 the Irish Free State seceded from the United Kingdom, the border between the Free State and Northern Ireland, which chose to remain in the UK, became an international frontier. This event became commonly known as the “partition of Ireland“. Trade in goods and services across this frontier became subject to differing tax and tariff arrangements. Consequently, an infrastructure of Customs posts was put in place at designated crossing areas. All traffic was subject to inspection by the jurisdiction it was passing in to. This could entail full vehicle searches with consequent delay and inconvenience. However passport checks were not applied. The Republic of Ireland, Northern Ireland and the rest of the United Kingdom were part of the Common Travel Area. This allowed travel between the Republic of Ireland and Northern Ireland and between the islands of Ireland and Great Britain, without passport controls. The Isle of Man and the Channel Isles are also part of the area. This arrangement came into existence in 1922 with the establishment of the Irish Free State and so predated the freedom of travel provisions consequent on membership of the EU, which to some degree superseded it. In 2011, the British and Irish Governments agreed informally to continue their common controls on entry to the CTA [for non-EEA nationals]. According to statements by Theresa May and Enda Kenny, it is intended to maintain this arrangement after the United Kingdom leaves the EU. After Brexit, in order to control migration by EU citizens (other than Irish nationals) across the open Northern Irish land border into the United Kingdom, the UK and Irish governments suggested in October 2016 an outline plan entailing British immigration controls being applied to Irish ports and airports. This would avoid passport checks being required between the Republic of Ireland and Northern Ireland. However, this agreement was never finalised and was met by opposition from political parties in the Republic of Ireland, On 23 March 2017, it was confirmed that British immigration officials would not be allowed to use Irish ports and airports in order to combat British immigration concerns following Brexit. A referendum for the reunification of Ireland was suggested by Sinn Féin leader Martin McGuinness immediately after the UK EU referendum results were announced. In April 2017 the European Council agreed that, in the event of Irish reunification, Northern Ireland would rejoin the EU. The President of the Regional Council of Hauts-de-France, Xavier Bertrand, stated in February 2016 that “If Britain leaves Europe, right away the border will leave Calais and go to Dover. We will not continue to guard the border for Britain if it’s no longer in the European Union,” indicating that the juxtaposed controls would end with a leave vote. French Finance Minister Emmanuel Macron also suggested the agreement would be “threatened” by a leave vote. These claims have been disputed, as the Le Touquet 2003 treaty enabling juxtaposed controls was not an EU treaty, and would not be legally void upon leaving. Gibraltar is outside the European Union’s common customs area and common commercial policy and so has a customs border with Spain. Nevertheless, the territory remains within the European Union until Brexit is complete. During the campaign leading up to the referendum the Chief Minister of Gibraltar warned that Brexit posed a threat to Gibraltar’s safety. Gibraltar overwhelmingly voted to remain in the EU. After the result Spain’s Foreign Minister renewed calls for joint Spanish–British control of the peninsula. These calls were strongly rebuffed by Gibraltar’s Chief Minister and questions were raised over the future of free-flowing traffic at the Gibraltar–Spain border. The UK government states it will only negotiate on the sovereignty of Gibraltar with the consent of its people. In February 2018, Sir Joe Bossano, Gibraltar’s Minister for Enterprise, Training, Employment and Health and Safety (and former Chief Minister) expressed frustration at the EU’s attitude, suggesting that Spain was being offered a veto, adding “It’s enough to convert me from a supporter of the European Union into a Brexiteer”. In April 2018, Spanish Foreign Minister Alfonso Dastis announced that Spain hopes to sign off on a bilateral agreement with Britain over Gibraltar before October so as not to hinder a Brexit transition deal. Talks between London and Madrid had progressed well. While reiterating the Spanish long-term aim of “recovering” Gibraltar, he said that Spain would not hold Gibraltar as a “hostage” to the EU negotiations. Brexit has also created a resurgence in academic and political advocacy for negotiating trade and migration agreements with the “CANZUK” countries – those of Canada, Australia, New Zealand and the United Kingdom.This has been echoed by multiple politicians in the four countries, including Liberal Senator, James Paterson in Australia, Shadow Foreign Affairs Minister, Erin O’Toole in Canada and Secretary of State for Foreign and Commonwealth Affairs, Boris Johnson in the United Kingdom. Organisations such as CANZUK International have also championed the movement, stating that relationships between the four countries will flourish after Brexit. However, numerous academics have criticised this alternative for EU membership as “post-imperial nostalgia”. Shortly after the referendum, the German parliament published an analysis on the consequences of a Brexit on the EU and specifically on the economic and political situation of Germany. According to this, Britain is, after the United States and France, the third-most important export market for German products. In total Germany exports goods and services to Britain worth about €120 billion annually, which is about 8% of German exports, with Germany achieving a trade surplus with Britain worth €36.3 billion (2014). Should there be a “hard Brexit”, exports would be subject to WTO customs and tariffs. The trade weighted average tariff is 2.4%, but the tariff on automobiles, for instance, is 9.7%, so trade in automobiles would be particularly affected; this would also affect German automobile manufacturers with production plants in the United Kingdom. In total, 750,000 jobs in Germany depend upon export to Britain, while on the British side about three million jobs depend on export to the EU. The study emphasises however that the predictions on the economic effects of a Brexit are subject to significant uncertainty. According to the Lisbon Treaty (2009), Council of the EU decisions made by qualified majority voting can only be blocked if at least four members of the Council form a blocking minority. This rule was originally developed to prevent the three most populous members (Germany, France, Britain) from dominating the Council of the EU. However, after a Brexit of the economically liberal British, the Germans and like-minded northern European countries (the Irish, Dutch, Scandinavians and Baltic states) would lose an ally and therefore also their blocking minority. Without this blocking minority, other EU states could overrule Germany and its allies in questions of EU budget discipline or the recruitment of German banks to guarantee deposits in troubled southern European banks. With Brexit, the EU would lose its second-largest economy, the country with the third-largest population and “the financial capital of the world”, as the German newspaper Münchner Merkur put it. Furthermore, the EU would lose its second-largest net contributor to the EU budget (2015: Germany €14.3 billion, United Kingdom €11.5 billion, France €5.5 billion). Thus, the departure of Britain would result in an additional financial burden for the remaining net contributors, unless the budget is reduced accordingly: Germany, for example, would have to pay an additional €4.5 billion for 2019 and again for 2020; in addition, the UK would no longer be a shareholder in the European Investment Bank, in which only EU members can participate. Britain’s share amounts to 16%, €39.2 billion (2013), which Britain would withdraw unless there is an EU treaty change. The departure of the UK is expected to have a major effect on the EU. In many policy votes Britain had allied with the relatively more economically liberal Germany who together with other northern EU allies had a blocking minority of 35% in the Council of the European Union. The exit of the UK from the European Union means that this blocking minority can no longer be assembled leading to speculation that it could enable the other EU countries to enforce specific proposals such as relaxing EU budget discipline or providing EU-wide deposit guarantees within the banking union. UK MEPs are expected to retain full rights to participate in the European Parliament up to the Article 50 deadline. However, there have been discussions about excluding UK MEPs from key committee positions. The EU will need to decide on the revised apportionment of seats in the European Parliament in time for the next European Parliament election, expected to be held in June 2019, when the United Kingdom’s 73 MEPs will have vacated their seats. In April 2017, a group of European lawmakers discussed what should be done about the vacated seats. One plan, supported by Gianni Pittella and Emmanuel Macron, is to replace the 73 seats with a pan-European constituency list; other options which were considered include dropping the British seats without replacement, and reassigning some or all of the existing seats from other countries to reduce inequality of representation. The UK’s exit from the European Union will leave the Republic of Ireland and Cyprus as the only two remaining common law jurisdictions in the EU. Paul Gallagher, a former Attorney General of Ireland, has suggested this will isolate those countries and deprive them of a powerful partner that shared a common interest in ensuring that EU legislation was not drafted or interpreted in a way that would be contrary to the principles of the common law. Lucinda Creighton, a former Irish government minister for legal affairs, has said that Ireland relies on the “bureaucratic capacity of the UK” to understand, influence and implement EU legislation. The combined EU fishing fleets land about 6 million tonnes of fish per year, of which about 3 million tonnes are from UK waters. The UK’s share of the overall EU fishing catch is only 750,000 tonnes (830,000 tons). This proportion is determined by the London Fisheries Convention of 1964 and by the EU’s Common Fisheries Policy. The UK government announced in July 2017 that it would end the 1964 convention in 2019. Loss of access to UK waters will particularly affect the Irish fishing industry which obtains a third of its catch there. The Common Fisheries Policy gives access for any member country to the waters of any other member country. The policy is generally considered a disadvantage to fish-rich countries and is a major reason why Norway and Iceland are not members. The European Economic Area treaty gives access to the inner market but does not include fishing. Questions have arisen over how existing international arrangements with the EU under World Trade Organization terms should evolve. Some countries – such as Australia and the United States – wish to challenge the basis for division (i.e., division between the UK and the continuing EU) of the trade schedules previously agreed between them and the EU, because it reduces their flexibility. As of 2018, the WTO does not have any protocols covering trade in services. German foreign secretary Frank-Walter Steinmeier met Britain’s foreign secretary Boris Johnson on 4 November 2016; Johnson stressed the importance of British-German relationships, whereas Steinmeier responded that the German view was that the UK should have voted to stay in the EU and that the German priority now was to preserve the remaining union of 27 members. There could be no negotiations before the UK formally gives notice. A long delay before beginning negotiations would be detrimental. Britain could not keep the advantages of the single market but at the same time cancel the “less pleasant rules”. According to The Daily Telegraph, the Department for Exiting the European Union spent over £250,000 on legal advice from top Government lawyers in two months, and had plans to recruit more people. Nick Clegg said the figures showed the Civil Service was unprepared for the very complex negotiations ahead. In the wake of the United Kingdom’s vote to leave the European Union, the Department for International Trade (DIT) for striking and extending trade agreements between the UK and non-EU states was created by Prime Minister Theresa May, shortly after she took office on 13 July 2016. It employs about 200 trade negotiators and is overseen by the Secretary of State for International Trade, currently Liam Fox. The Government has stated its intention to “secure the specific interests of Scotland, Wales and Northern Ireland, as well as those of all parts of England”. Through the Joint Ministerial Committee on EU Negotiations (JMC(EN)), the Government intends to involve the views of the Scottish Parliament, the Welsh Assembly and the Northern Ireland Assembly in the process of negotiating the UK’s exit from the EU. For instance, at the January 2017 meeting of the JMC(EN), the Scottish Government’s proposal to remain in the European Economic Area was considered. EU negotiator Guy Verhofstadt, the European parliament’s chief negotiator, said that: “All British citizens today have also EU citizenship. That means a number of things: the possibility to participate in the European elections, the freedom of travel without problem inside the union. We need to have an arrangement in which this arrangement can continue for those citizens who on an individual basis are requesting it.” The suggestion being an “associate citizenship”. An EU meeting to discuss Brexit was called for 29 April 2017, Donald Tusk stating that the “priority would be giving “clarity” to EU residents, business and member states about the talks ahead”. Barnier called for talks to be completed by October 2018 to give time for any agreement to be ratified before the UK leaves in March 2019. Sinn Féin called for a referendum to create a united Ireland, following the Northern Ireland majority decision (56% to 44%) to vote no to Brexit and 2 March election to the Northern Ireland Assembly wherein Sinn Féin increased its number of seats. In early May, Jean-Claude Juncker said that the UK leaving the EU was a “tragedy” and that it is partly the responsibility of the EU. “The EU, in many respects has done too much, especially the Commission”, including “too much regulation and too many interferences in the lives of our fellow citizens”. The European Commission has, following the “Better regulation” initiative, in place since before Brexit, reduced the number of legislative proposals from 130 to 23 per year. Following the EU referendum, there have been several opinion polls on the question of whether the UK was “right” or “wrong” to vote to leave the EU. The results of these polls are shown in the table below. 8-9 Jul 2018 Brexit Secretary David Davis and Foreign Secretary Boris Johnson resign. 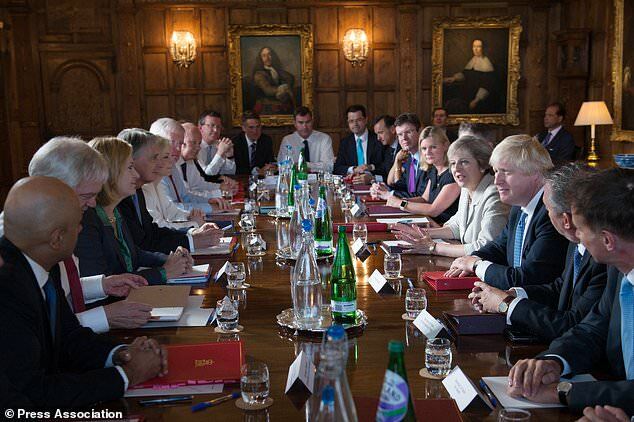 6 Jul 2018 The UK Cabinet agrees the Chequers Statement, setting out a proposal on the future UK-EU relationship. 2 Mar 2018 Theresa May makes Mansion House speech, outlining the UK Government’s policy on the future UK-EU relationship. 15 Dec 2017 The European Council decides to proceed to the second phase of the Brexit negotiations. 22 Sep 2017 Theresa May makes Florence speech, in an attempt to ‘unblock’ the Brexit negotiations. 19 Jun 2017 Brexit negotiations begin. 29 Mar 2017 The United Kingdom invokes Article 50. 17 Jan 2017 Theresa May makes Lancaster House speech, setting out the UK Government’s negotiating priorities. 2 Oct 2016 Theresa May makes Conservative Party Conference speech, announcing her intention to invoke Article 50 by 31 March 2017. 13 Jul 2016 Theresa May becomes Prime Minister of the United Kingdom. There have also been opinion polls on the question of how people would vote in a second referendum on the same question. The results of these polls are shown in the table below. In July 2017, LSE/Opinium research indicated that 60% of Britons wanted to retain EU citizenship after Brexit. Rex Tillerson, former United States Secretary of State, considers that the European Union and the United Kingdom should perform a fast Brexit to avoid useless disagreement. For main article on Brexit in Art and Literature, see Brexit in Literature and the Arts. The response of artists and writers to Brexit has in general been negative, reflecting a reported overwhelming percentage of people involved in Britain’s creative industries voting against leaving the European Union. Responses by visual artists to Brexit include a mural, painted in May 2017, by the secretive graffiti artist Banksy near the ferry port at Dover in southern England. It shows a workman using a chisel to chip off one of the stars on the European Union Flag. One of the first novels to engage with a post-Brexit Britain was Rabbitman by Michael Paraskos (published 9 March 2017). Rabbitman is a dark comic fantasy in which the events that lead to the election of a right-wing populist American president, who happens also to be a rabbit, and Britain’s vote to leave the European Union, were the result of a series of Faustian pacts with the Devil. As a result, Rabbitman is set partly in a post-Brexit Britain in which society has collapsed and people are dependent on European Union food aid. Mark Billingham’s Love Like Blood (published 1 June 2017) is a crime thriller in which Brexit sees a rise in xenophobic hate crime. In the novel The Remains of the Way (published 6 June 2017), David Boyle imagines Brexit was a conspiracy led by a forgotten government quango, still working away in Whitehall, originally set up by Thomas Cromwell in the sixteenth century during the reign of King Henry VIII, and now dedicated to a Protestant Brexit. Post-Brexit Britain is also the setting for Amanda Craig‘s The Lie of the Land (published 13 June 2017), a satirical novel set ten years after the vote to leave the European Union, in which an impoverished middle class couple from Islington in north London are forced to move from the heart of the pro-European Union capital, to the heart of the pro-Brexit countryside in Devon. Brexit is also the baseline for Douglas Board’s comic political thriller Time of Lies (published 23 June 2017). In this novel, the first post-Brexit general election in 2020 is won by a violent right-wing former football hooligan called Bob Grant. Board charts the response to this of the hitherto pro-European Union metropolitan political elite. John King’s dystopian novel The Liberal Politics of Adolf Hitler (2016) imagines the European Union fifty years into the future when the UK has been broken up into regions of a centralised super-state. The United State of Europe (USE) is a closet dictatorship where Orwellian doublespeak and internet censorship is the norm, and elections are no longer considered necessary. In June 2017, the National Theatre in London presented a play by Carol Ann Duffy, entitled My Country; a work in progress. An allegorical work, the play uses the device of a convention called by the goddess Britannia, who is concerned about the future of the British people. The play differs from some artistic responses in that Duffy and the National Theatre-based the attitudes of the characters in part on the responses of ordinary people in interviews that were conducted by the regional offices of the UK Arts Councils, but excluding responses from London and the south-east of England, where most people voted not to leave the EU. As a result, according to Dominic Cavendish, writing in The Daily Telegraph, “the bias is towards the Leave camp”. In 2016, the television director Martin Durkin wrote and directed an 81 minute long documentary film titled “Brexit: The Movie” which advocated with the withdrawal of the United Kingdom from the European Union. The film was produced by the production company Wag TV with a budget of £300,000. The production costs were sourced primarily through crowdfunding via Kickstarter alongside a £50,000 contribution from the hedge fund Spitfire Capital. In May 2016 the film premiered in Leicester Square, with notable figures such as Nigel Farage and David Davis (who later became Secretary of State for Exiting the European Union) in attendance. Following the Brexit vote, there have been several attempts to set up a new pro-European political party. 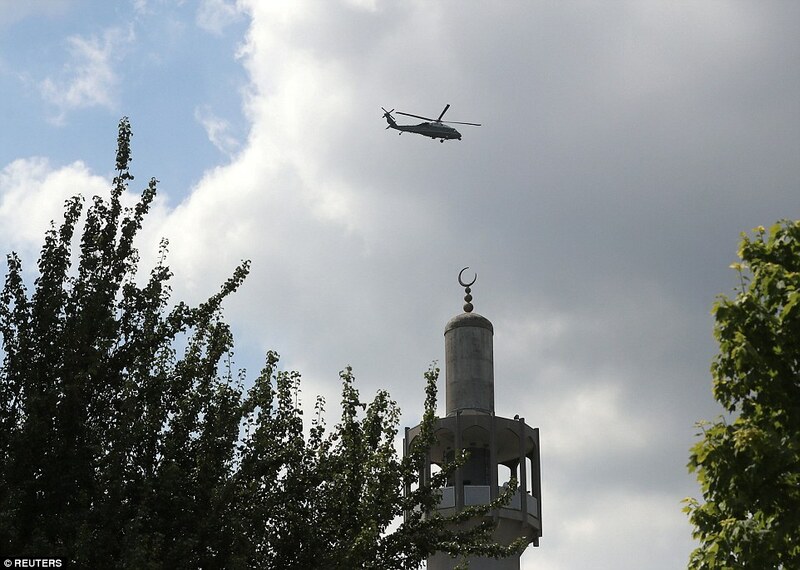 Examples include ‘The Democrats’ (a proposal by former Daily Mail political editor James Chapman), ‘The Radicals’ (proposed by Jeremy Cliffe, former Berlin bureau chief of The Economist) and the Renew Britain party. It’s been almost a year since the United Kingdom formally notified the European Union of its intention to leave the EU. Since then, the UK and EU have been engaged in intense negotiations about the mechanics of Brexit, all with a view to the UK’s formal departure on 29 March 2019. In the meantime, British Prime Minister Theresa May called a snap general election in June 2017 in order to boost her majority and negotiating mandate – a strategy that failed dismally and delivered her a minority governmentand shaky hold on her own job. 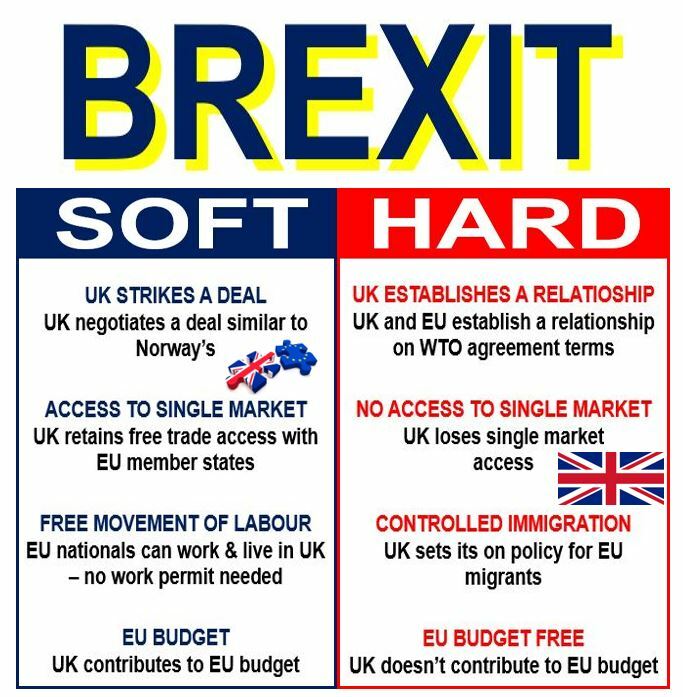 Simply put, Theresa May and her government are largely in favour of a hard Brexit (articulated in May’s recent Mansion Housespeech), while the Opposition Leader Jeremy Corbyn favours a have-your-cake-and-eat-it soft Brexit.